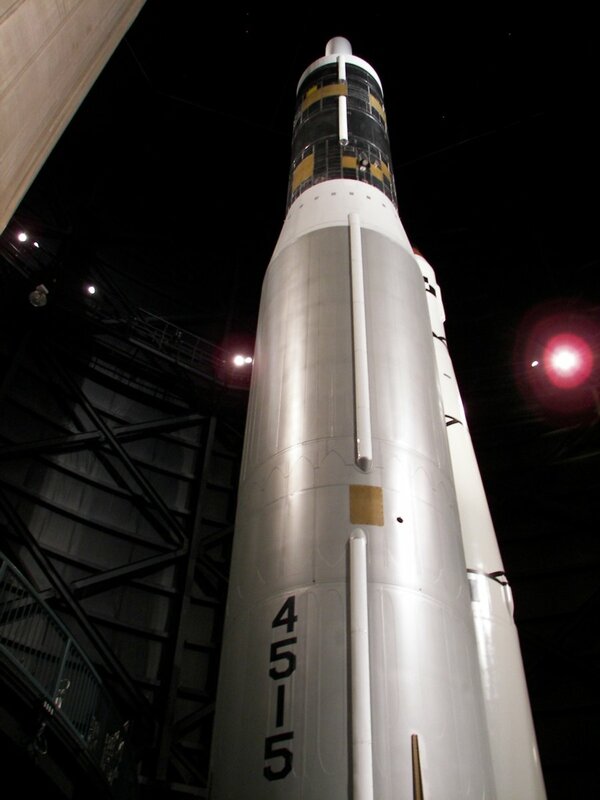 The Titan rocket was developed in the 1950's as an intercontinental ballistic missile. 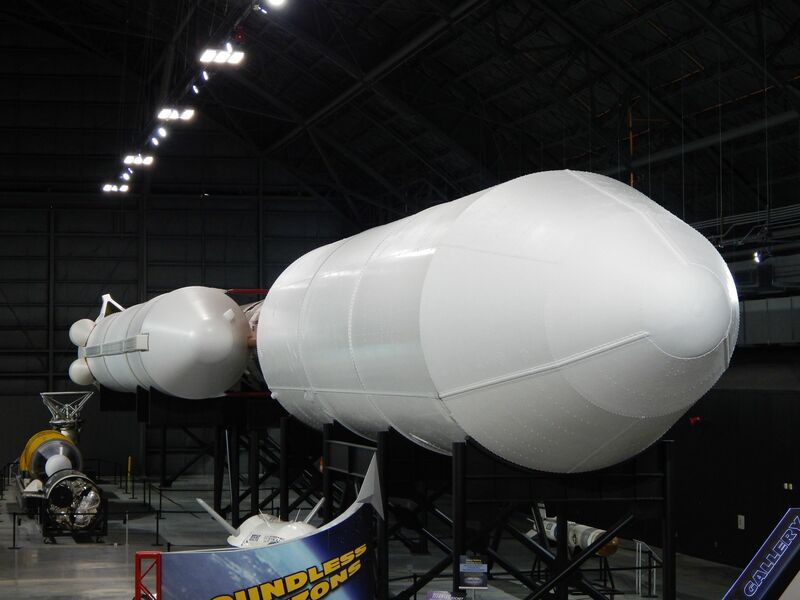 The rocket evolved into one of the worlds most important launch vehicles. 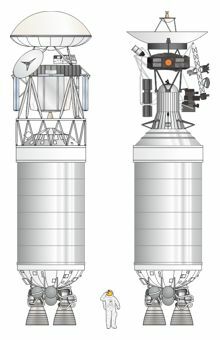 Payloads included all Gemini missions, several high profile space probes, including both Viking mars probes, both Voyager probes, and the Cassini/Huygens Saturn mission. 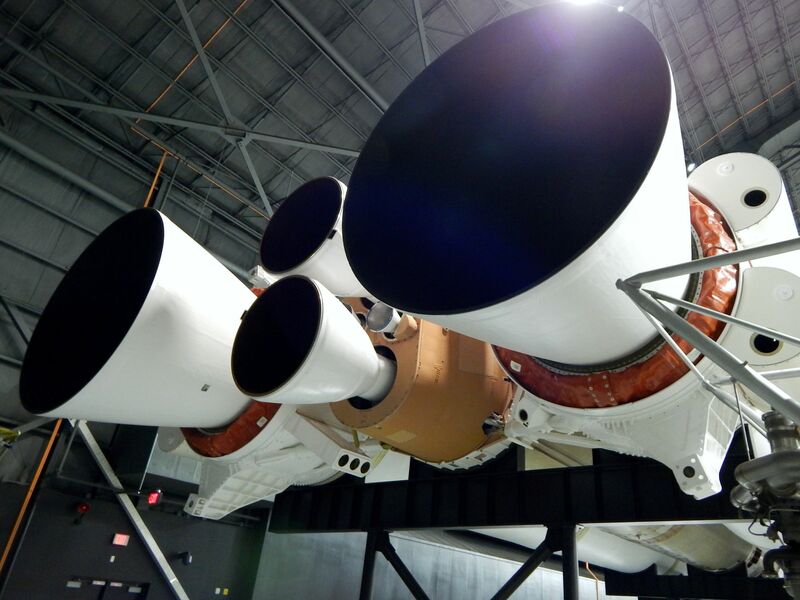 Many important military payloads, including large intelligence gathering spacecraft, early warning spacecraft, and military communications satellites, were launched on Titan rockets. The last Titan rocket launch, a Titan IVB, lifted off on 19 October 2005. 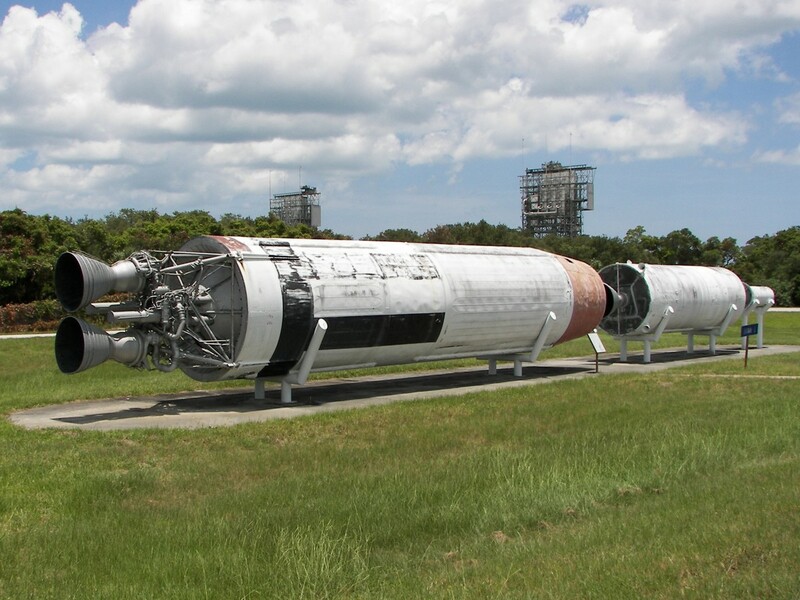 Left to right: Titan I ICBM, Titan II ICBM, Gemini-Titan, Titan 3A Titan IIIC, Titan IIIB, Titan IIIC MOL, Titan IIIB Ascent Agena, Titan IIID, Titan IIIE, Titan-34D, Commercial Titan III, Titan-23G, Titan IVA, Titan IVB, Human figure for scale (1.8m tall). 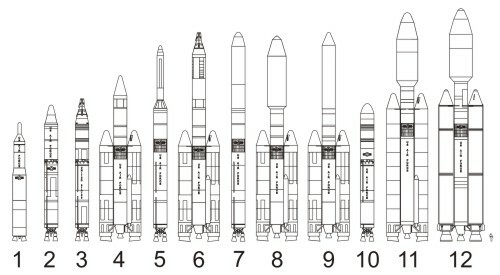 View another illustration showing several Titan rocket versions. 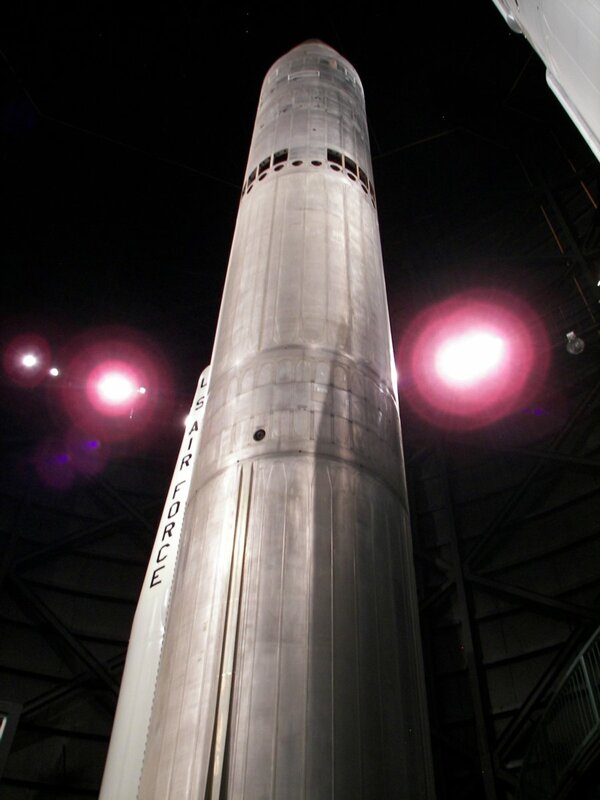 The Titan I missile was a two stage, intercontinental ballistic missile, operated by the United States Air Force. 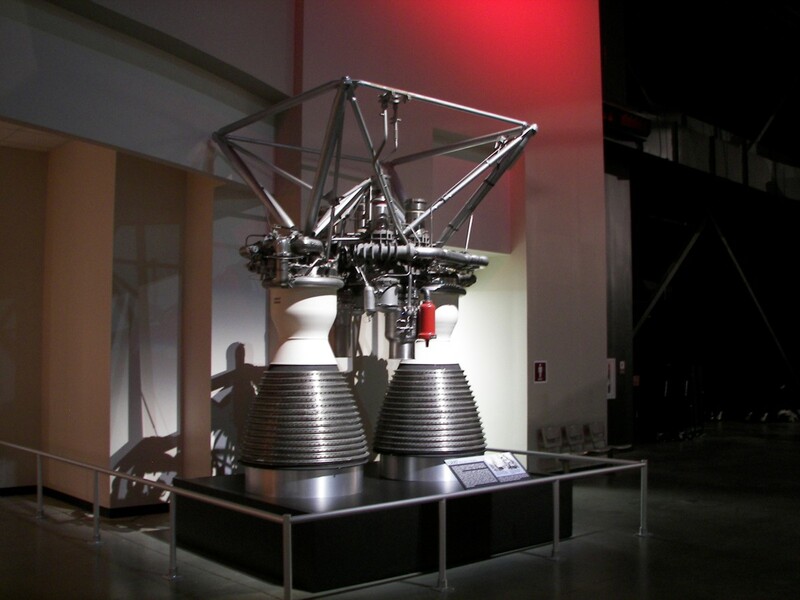 The first stage was powered by two LR-87 rocket engines. The second stage used a single LR-91 rocket. 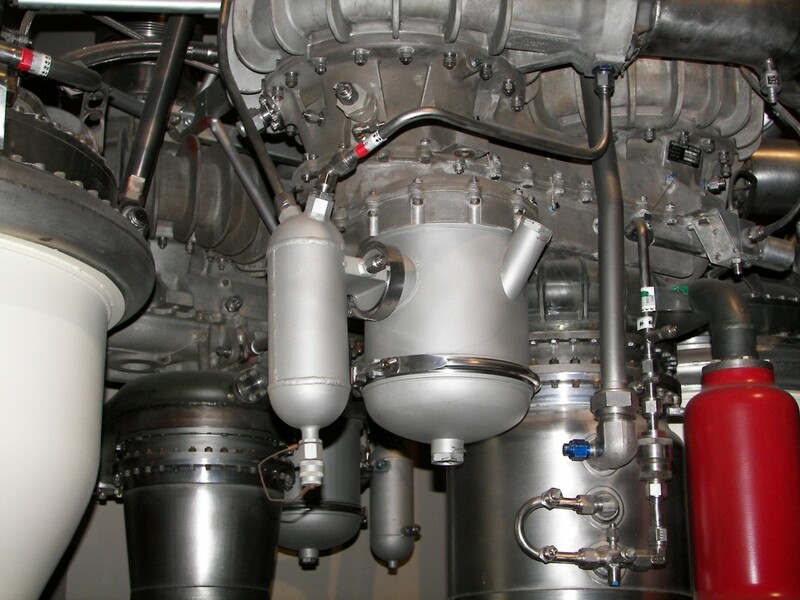 Both stages used kerosene as fuel and liquid oxygen as an oxidizer. 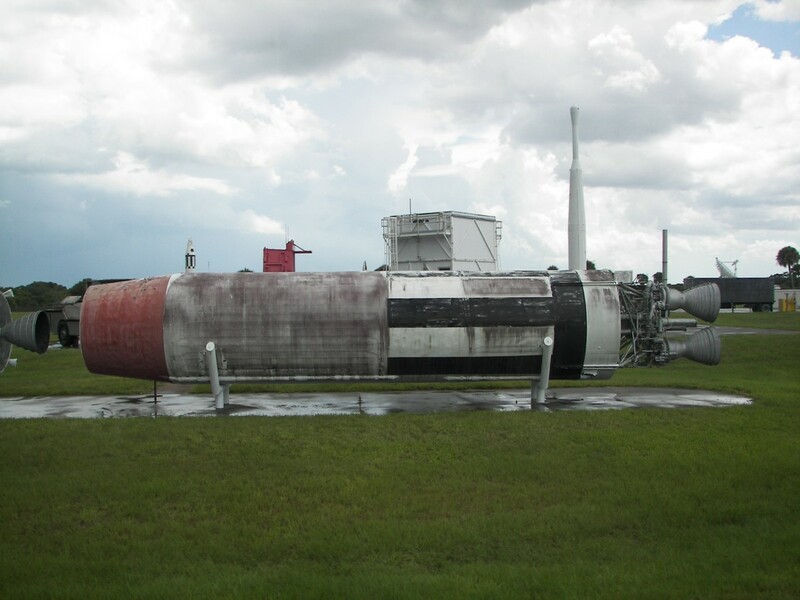 The missile entered operational service in 1962. Six squadrons, each with nine missiles, were deployed in several western states. 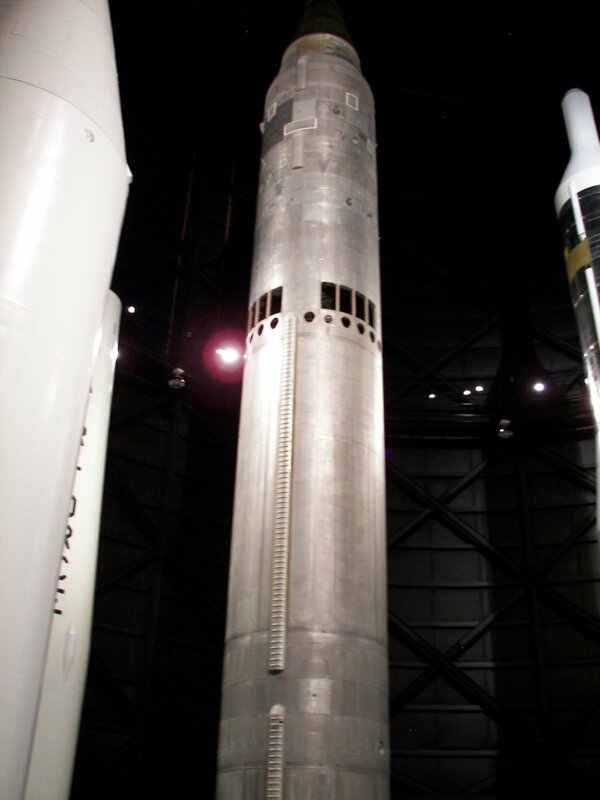 The 54 operational missiles were replaced by Titan II missiles in 1965. 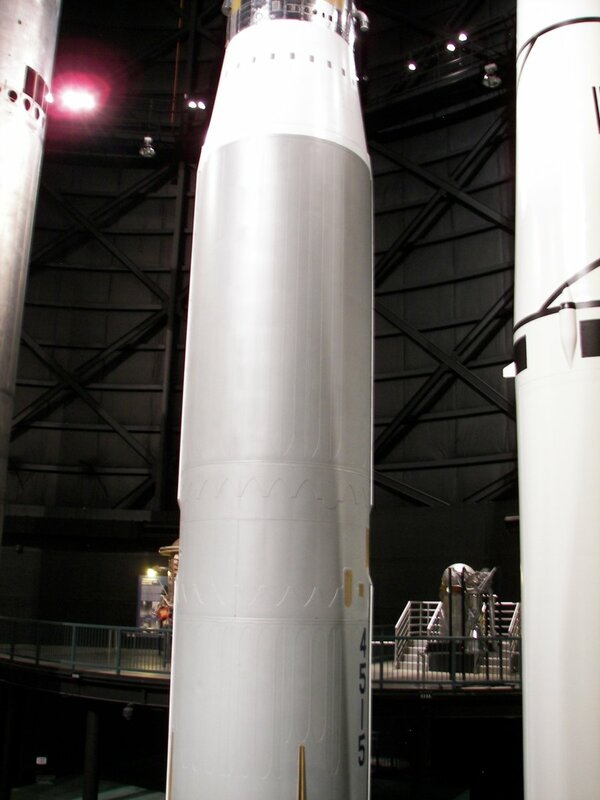 The short-lived Titan I provided greatly needed experience in handling large, multi-stage, ballistic missiles. Experience that would prove useful in later missile programs. 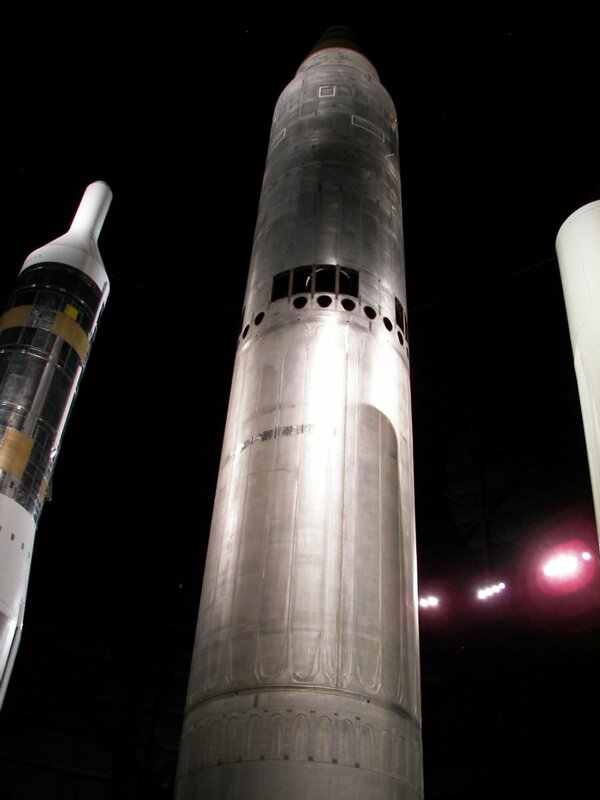 The Titan II ICBM, developed from the Titan I missile, was first flown successfully on 16 March 1962. 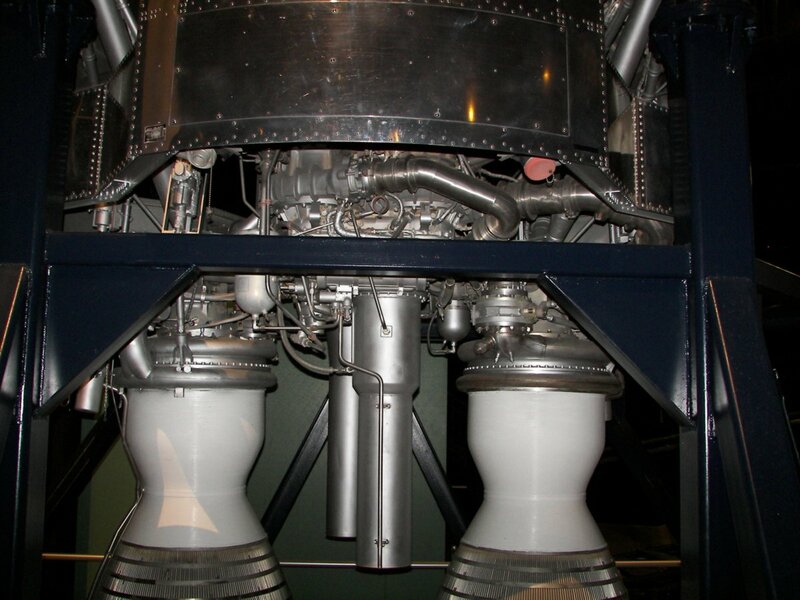 The first stage was powered by a pair of improved LR-87 rocket engines. The second stage used a single LR-91 rocket. 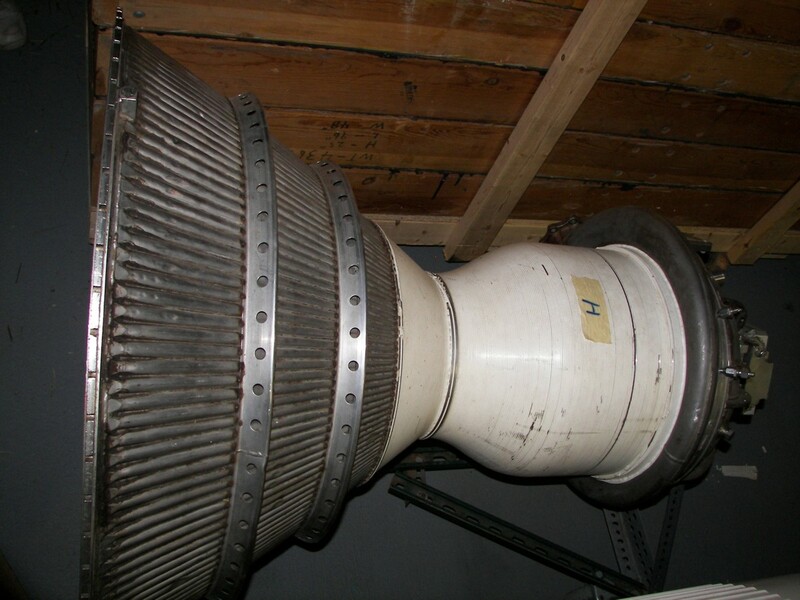 Both stages used hypergolic fuels. Hypergolic fuels are storable at room temperature and ignite when both components come in contact. 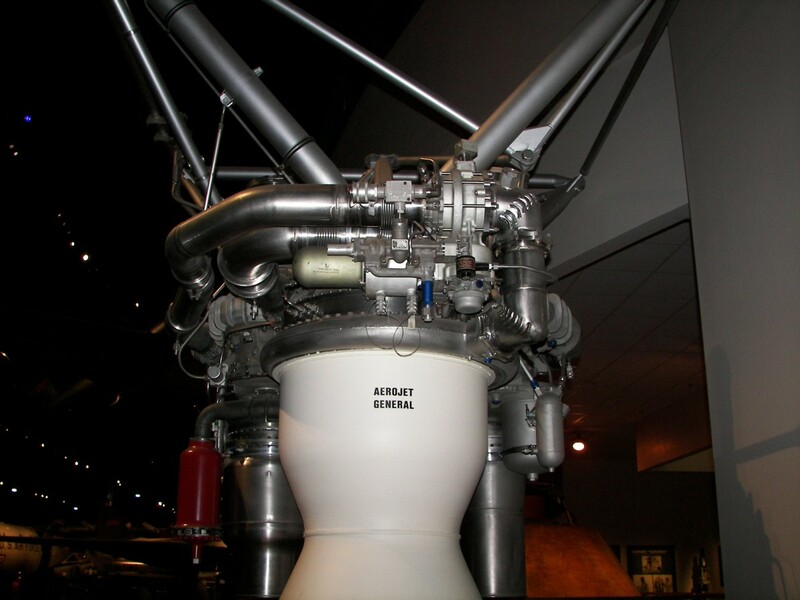 The use of storable propellants allowed the missile to remain constantly fueled while on alert. 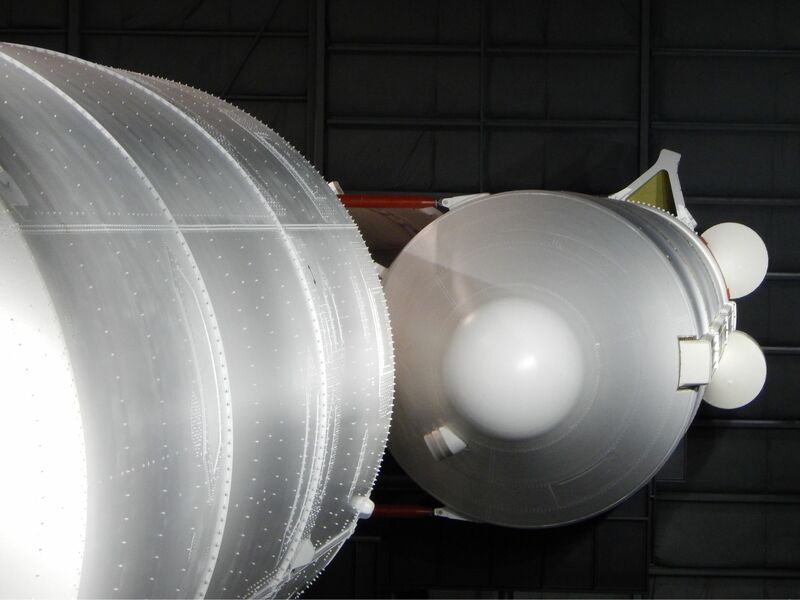 The Titan II would be ready to launch in only 60 seconds, much faster then the earlier Titan I version, which needed around 15 minutes to load liquid oxygen immediately before launch. 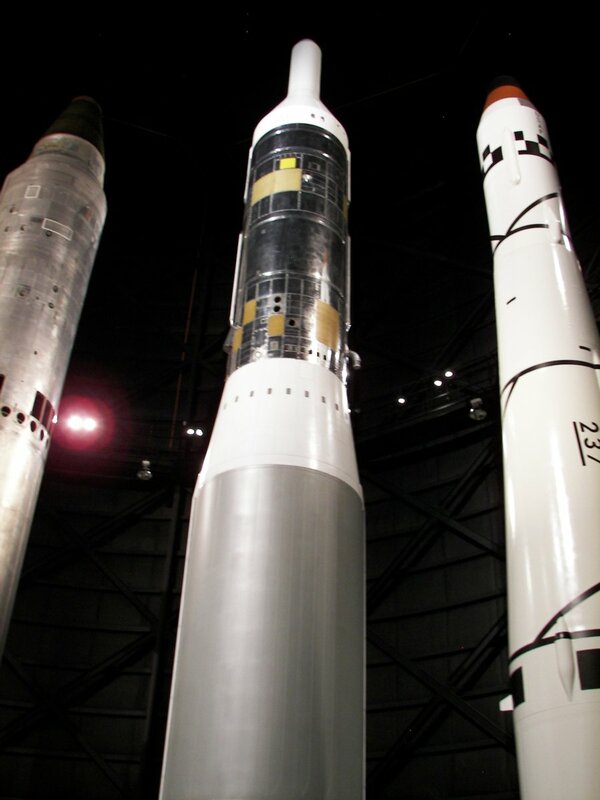 Titan II missiles were on operational alert between 1963 and 1987. 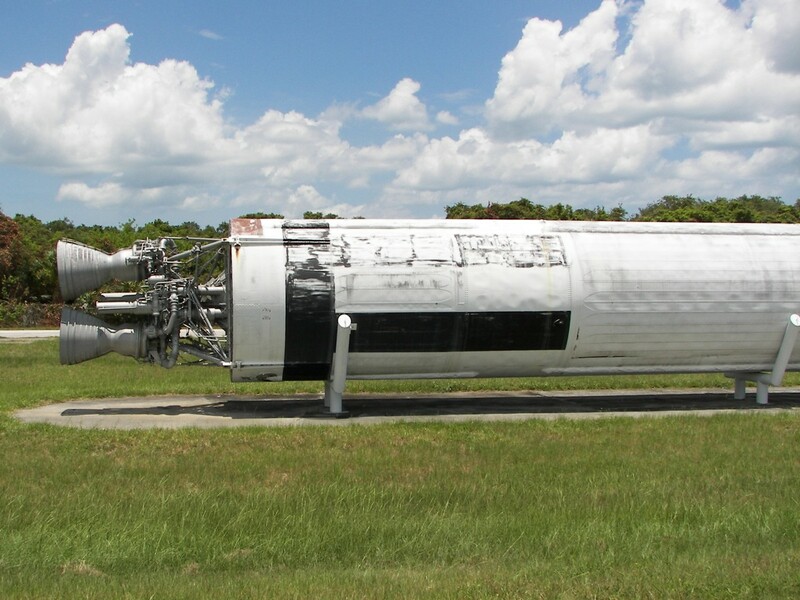 A modified version of the reliable Titan II, known as the Titan II GLV, was used to launch Gemini missions in the mid 1960s'. 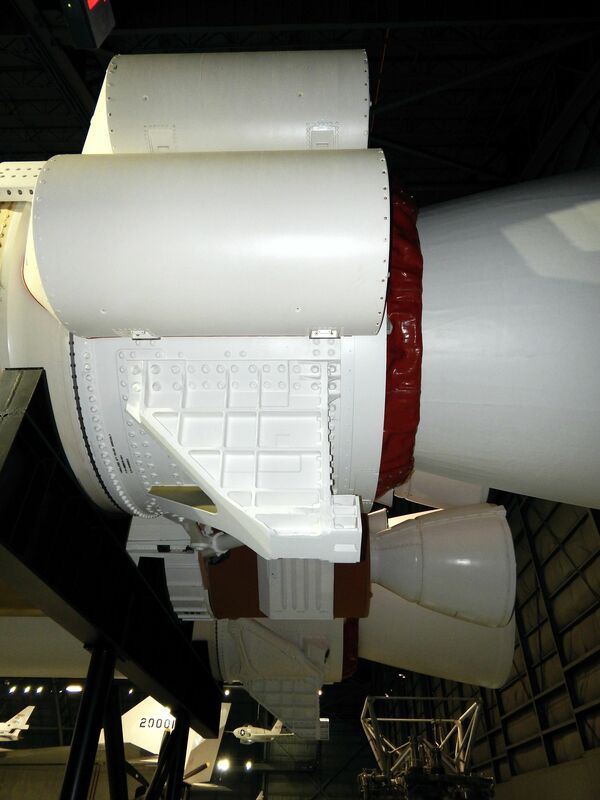 Over the coming decades, the missile evolved into a large number of space launchers. 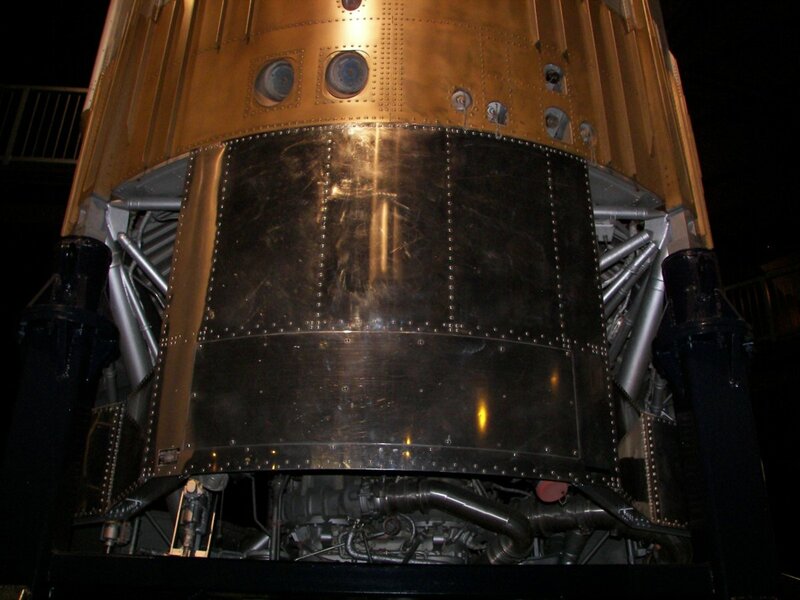 The Titan II GLV (Gemini Launch Vehicle), was developed to launch Gemini spacecraft. 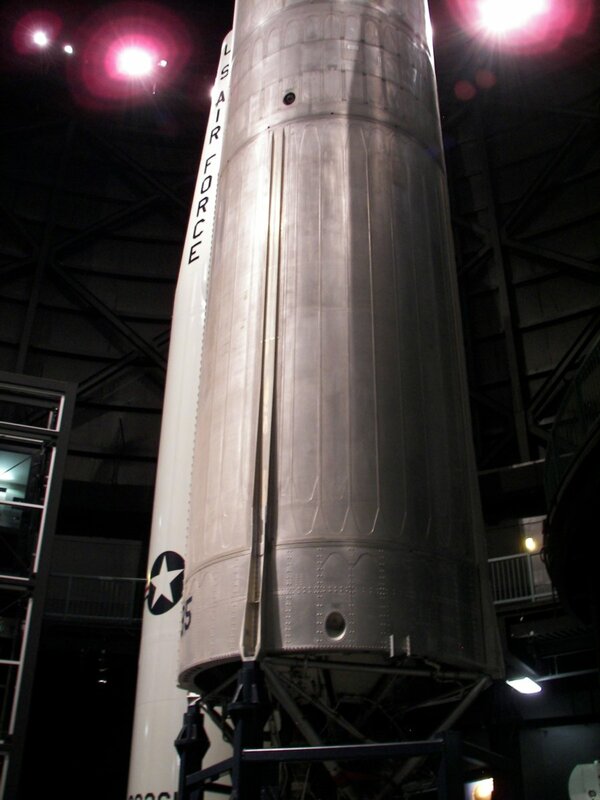 The rocket was derived from the Titan II ICBM. 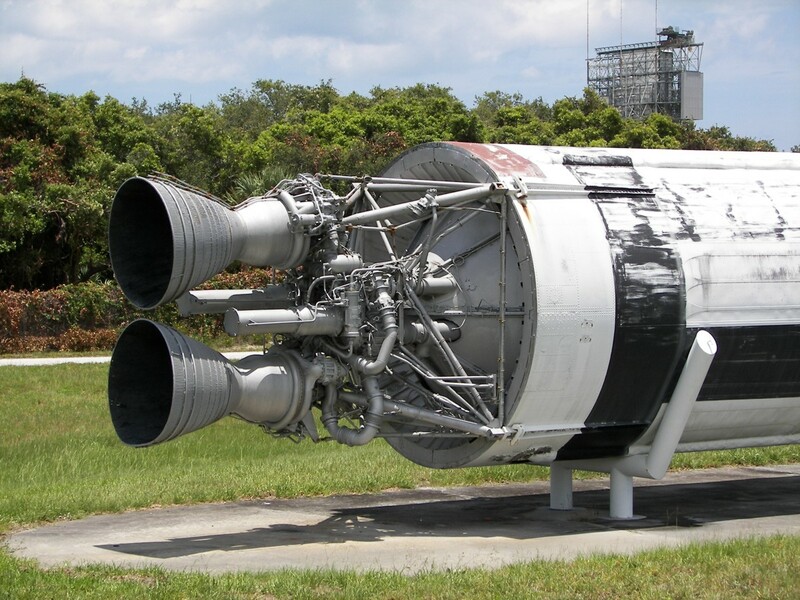 The rocket first flew on 8 April 1964. A total of 12 missions, all carrying Gemini spacecraft, were successfully launched from launch complex 19 at Cape Canaveral Air Force Station. 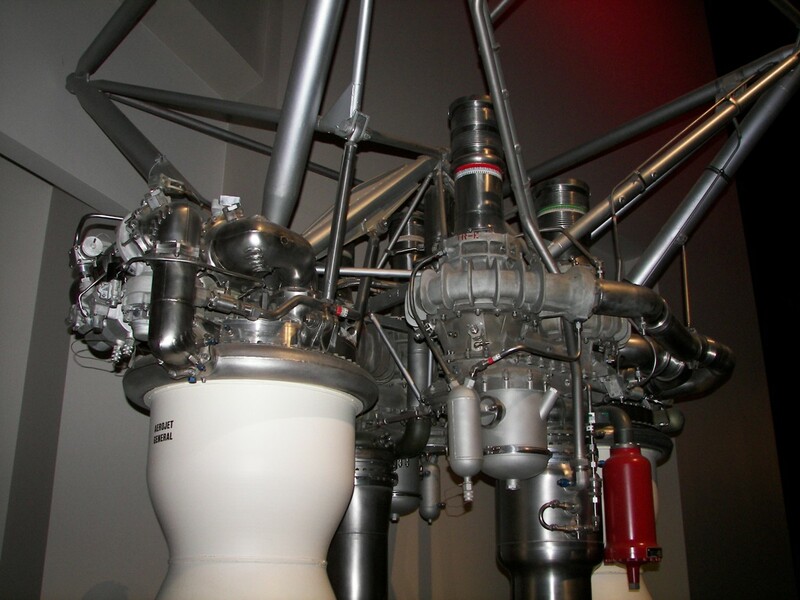 The first stage was powered by two LR-87-AJ7 rockets. 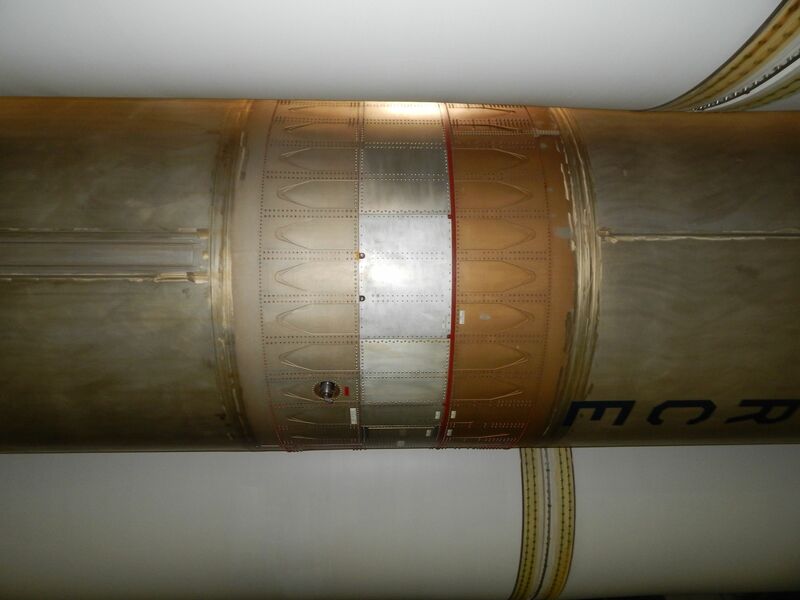 The second stage used a single LR-91-AJ7 rocket. 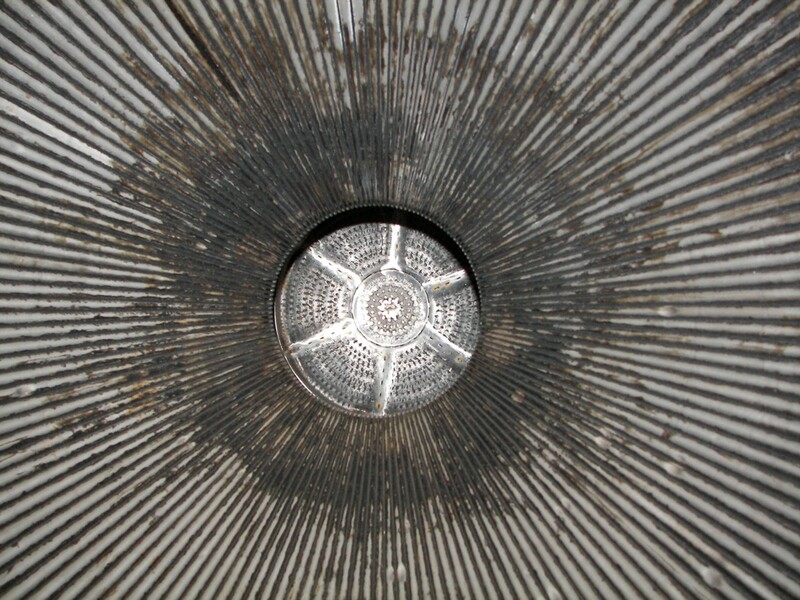 In the late 1980's, the remaining Titan II ICBMs were taken off alert and decommissioned. 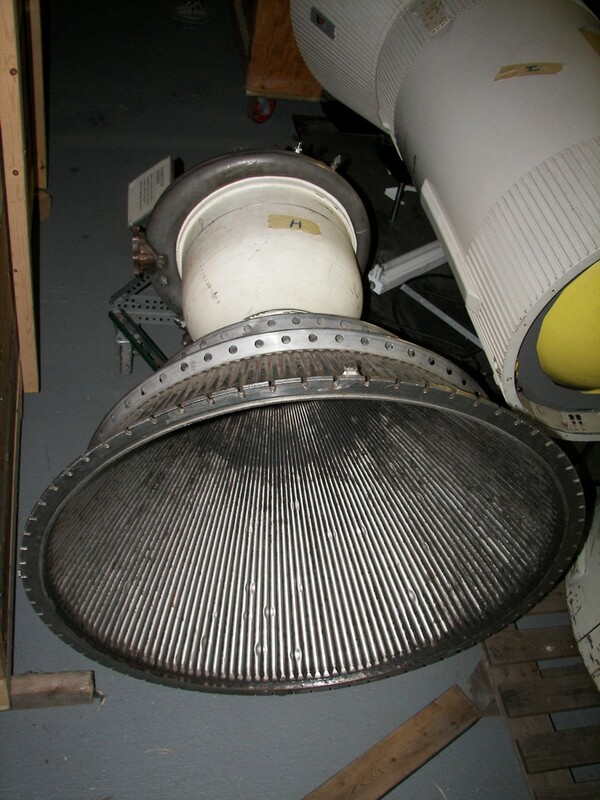 Fourteen of the missiles were refurbished for use as space launchers. 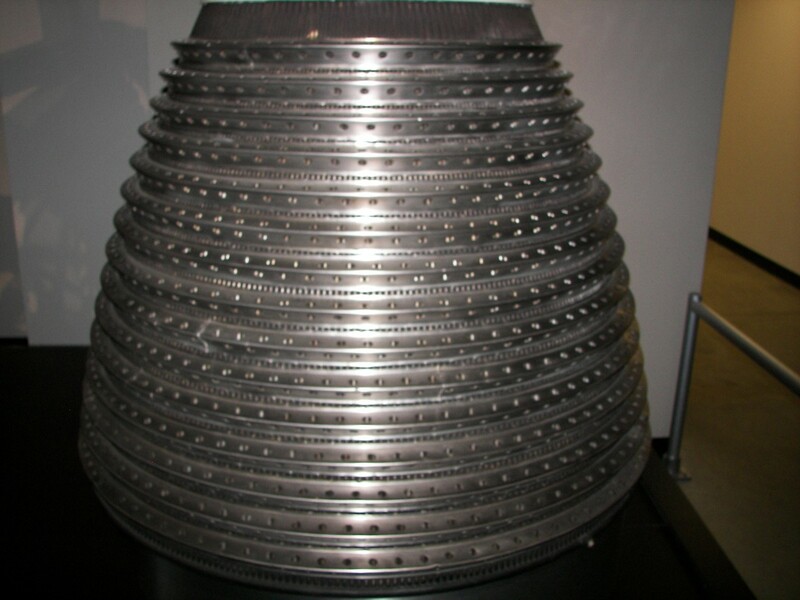 The refurbished rockets were given the designation Titan II(23)G, or Titan 23G. Titan 23G was first flown on 5 September 1988. Thirteen missions were flown, all from Vandenberg Air Force Base, between 1988 and 2003. 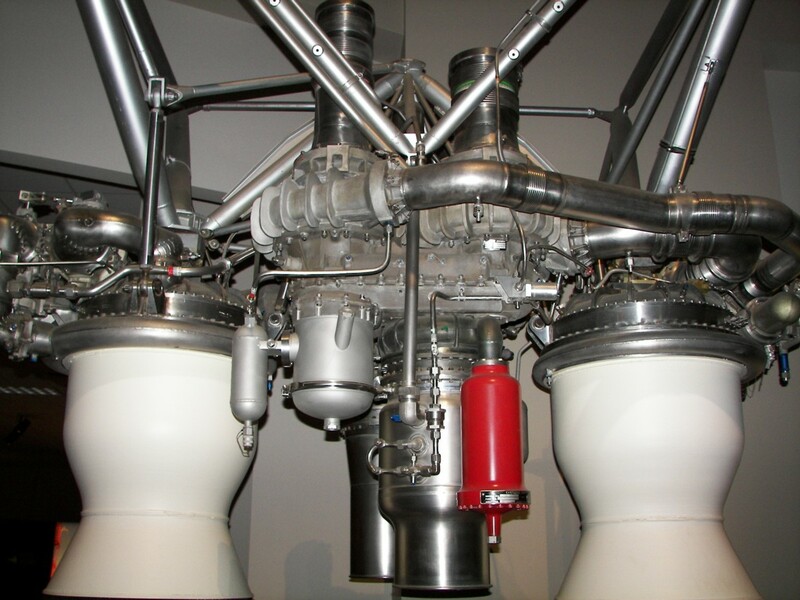 The first stage was powered by two LR-87-AJ5 rockets. The second stage used a single LR-91-AJ5 rocket. 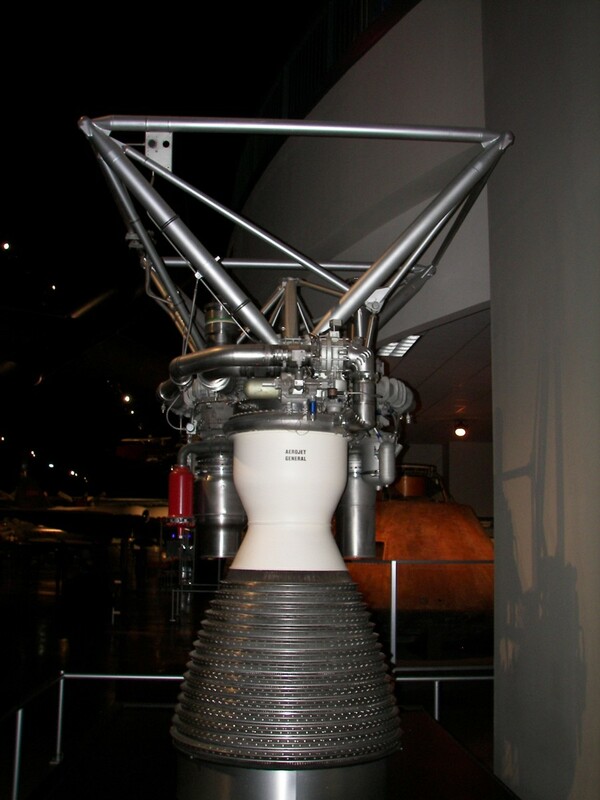 The Clementine lunar probe, a joint project between the Ballistic Missile Defense Organization and NASA, was launched on a Titan 23G on 25 January 1994. 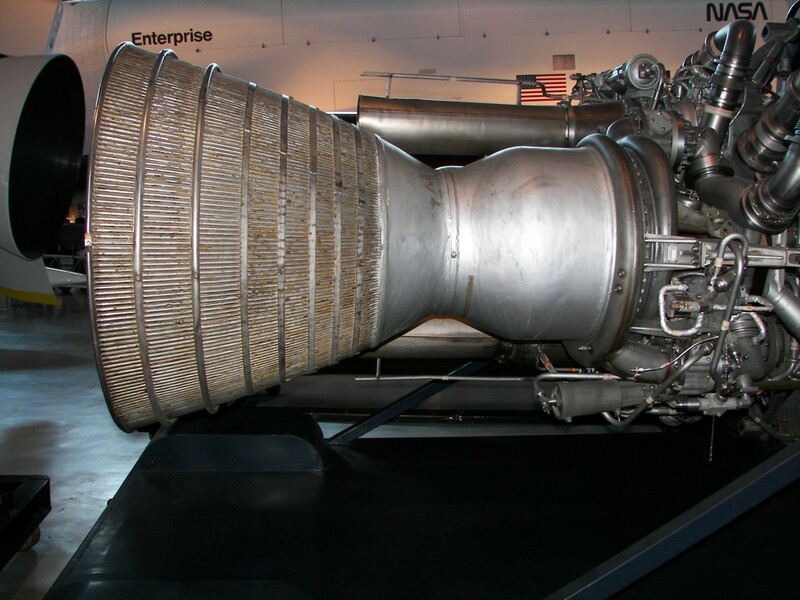 Titan III represented a family of launch vehicles derived from the Titan II rocket. 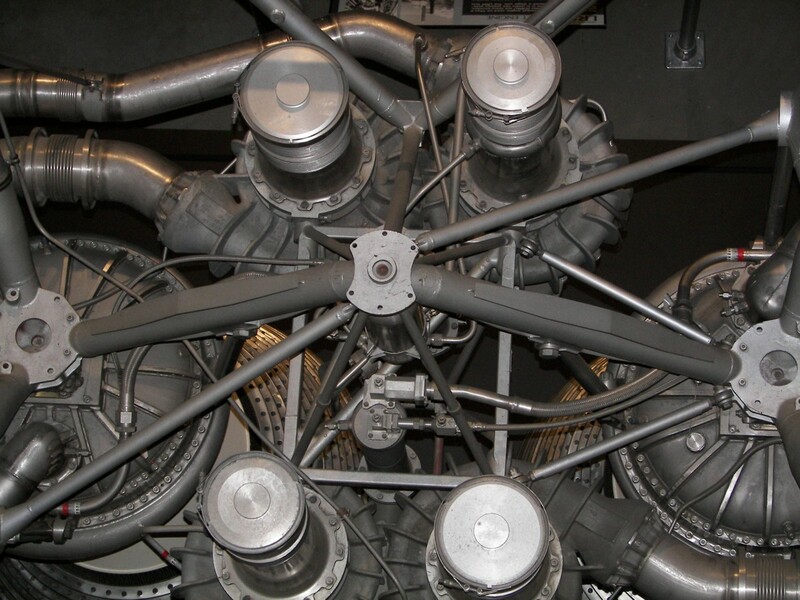 A variety of configurations were flown. 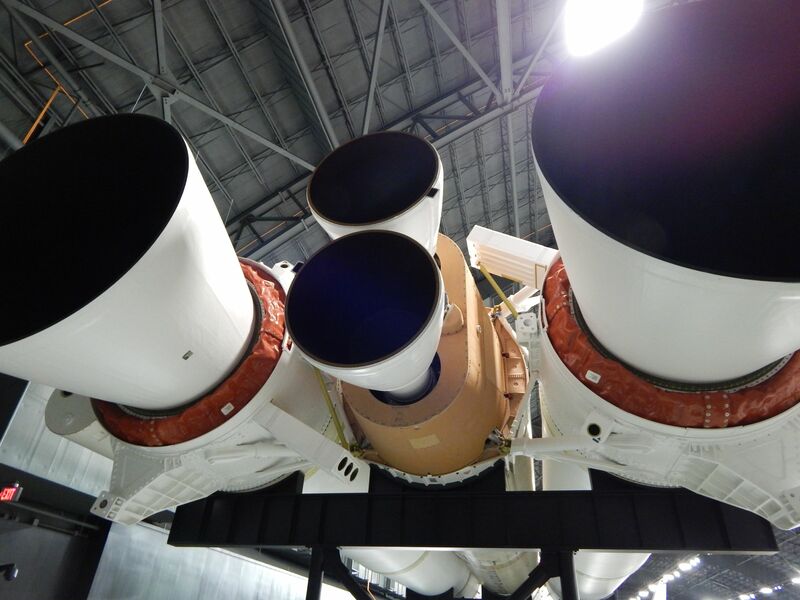 Some versions used a pair of solid rocket boosters to increase capability. 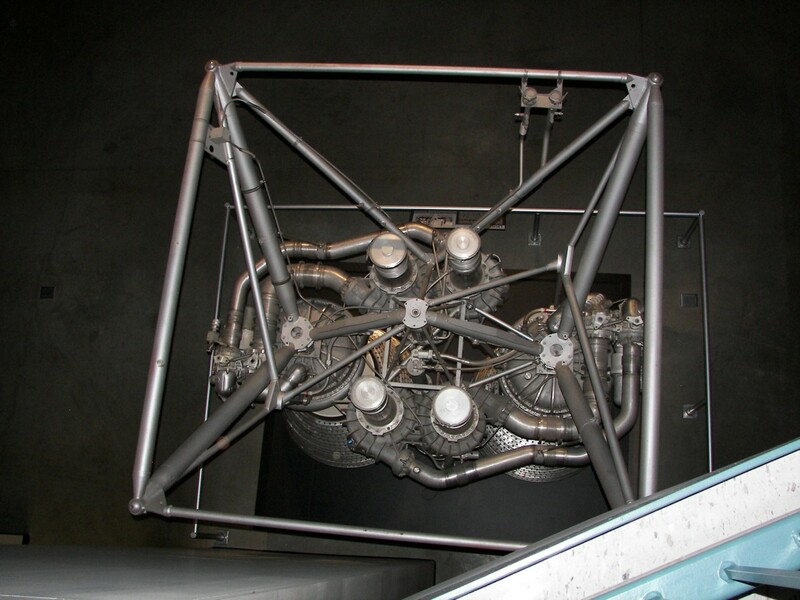 A new upperstage, known as the Transtage, featured a restartable engine, allowing multiple payloads to be placed in different orbits on a singe flight. 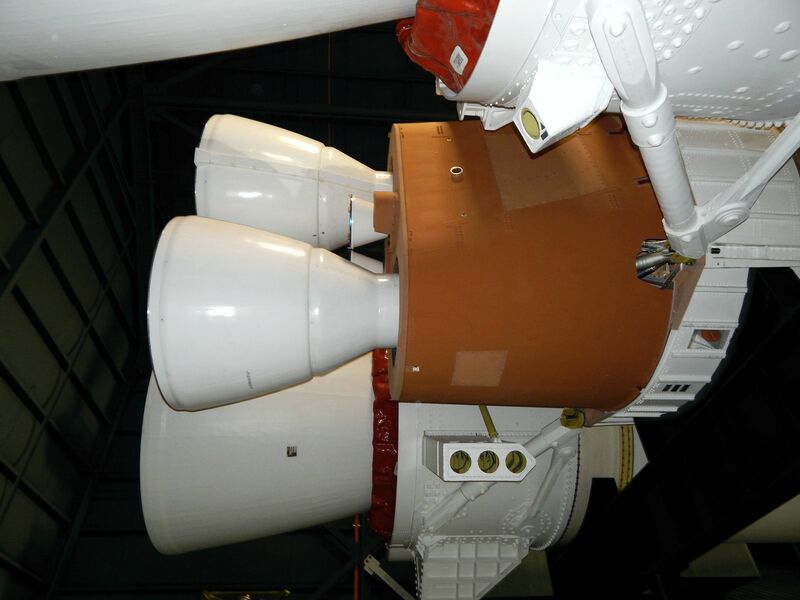 Other Titan III versions used the Agena upper stage. 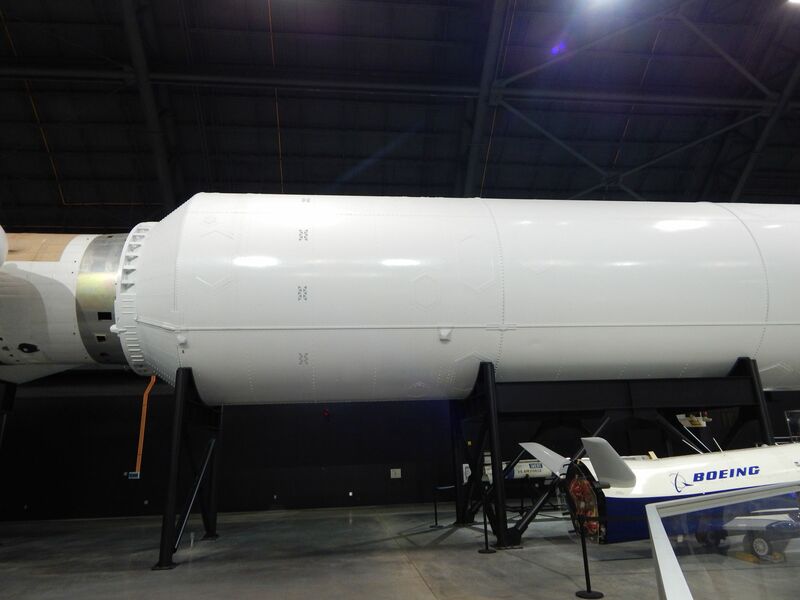 A version known as the Titan IIIE Centaur used the powerful, cryogenically fueled, Centaur upper stage. 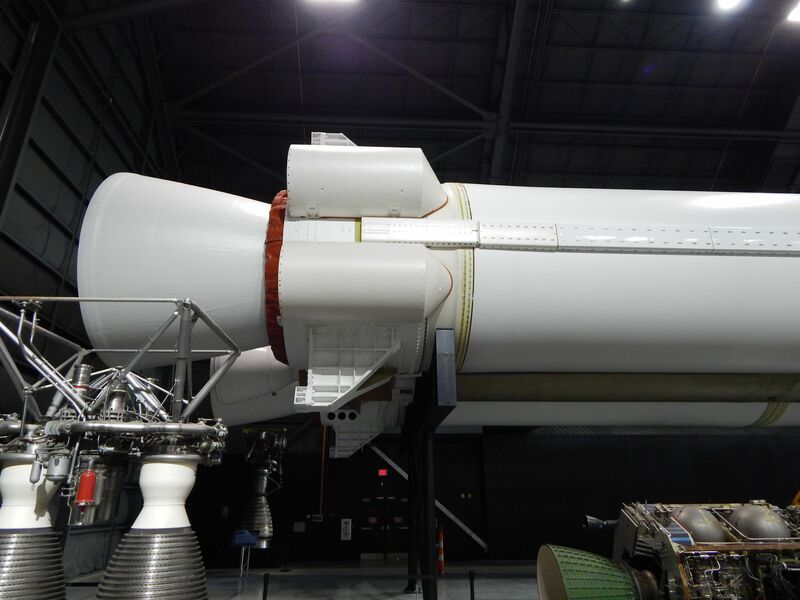 Titan IIIA, first flown in 1964, conducted the first test flights of the Titan III core and Transtage upper stage. The first flight, on 2 September 1964, failed. The next three missions succeeded. 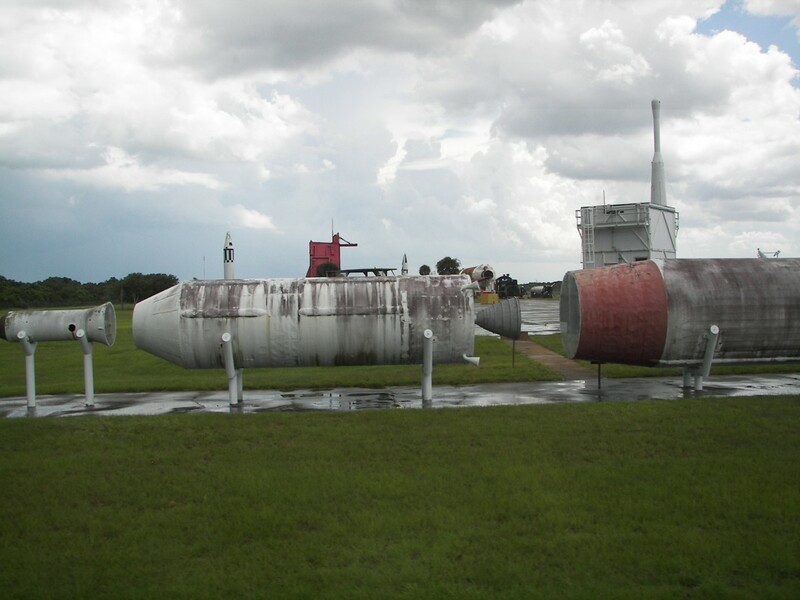 All missions were launched from launch complex 20 at Cape Canaveral. 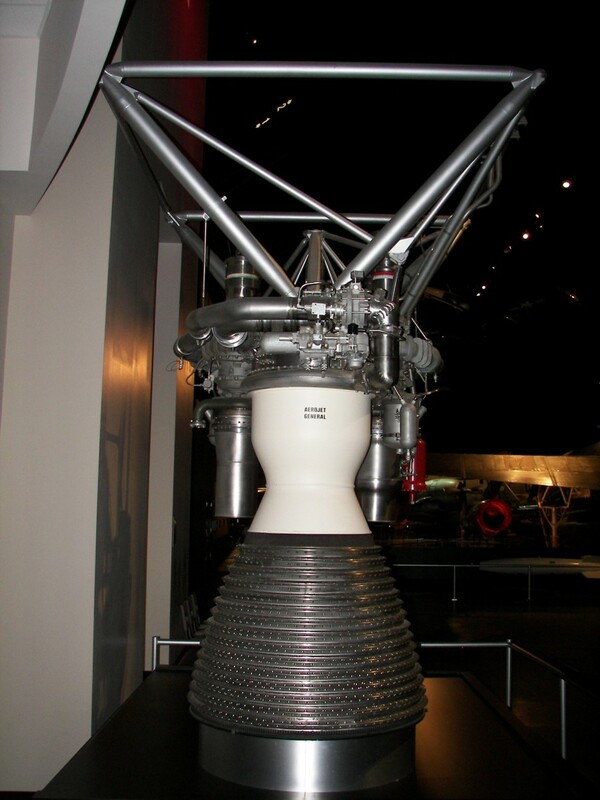 Titan 3B, first flown on 29 July 1966, used an Agena-D upper stage. Dozens of missions, all launched from Vandenberg Air Force Base and carrying military satellites, were flown with Titan IIIB rockets. 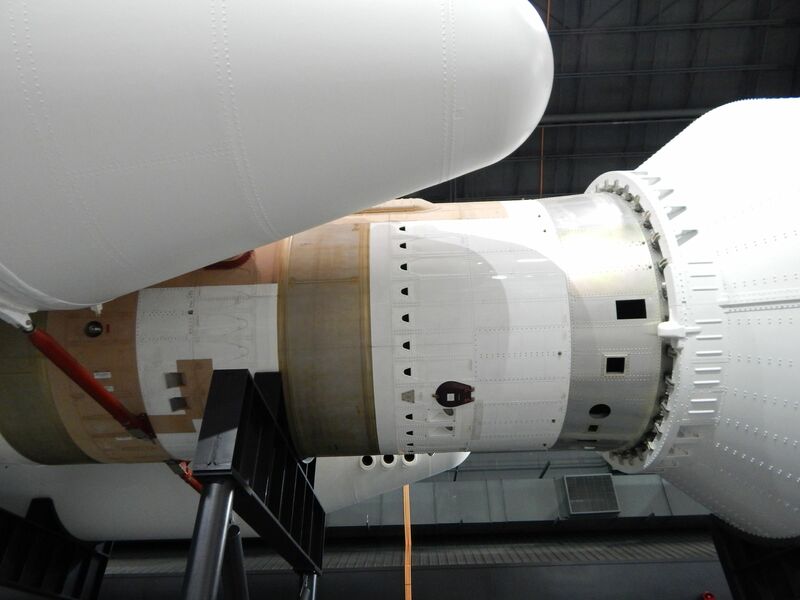 Titan IIIB Ascent Agena, first flown in 1971, featured a large payload fairing covering both the Agena upper stage and the satellite. 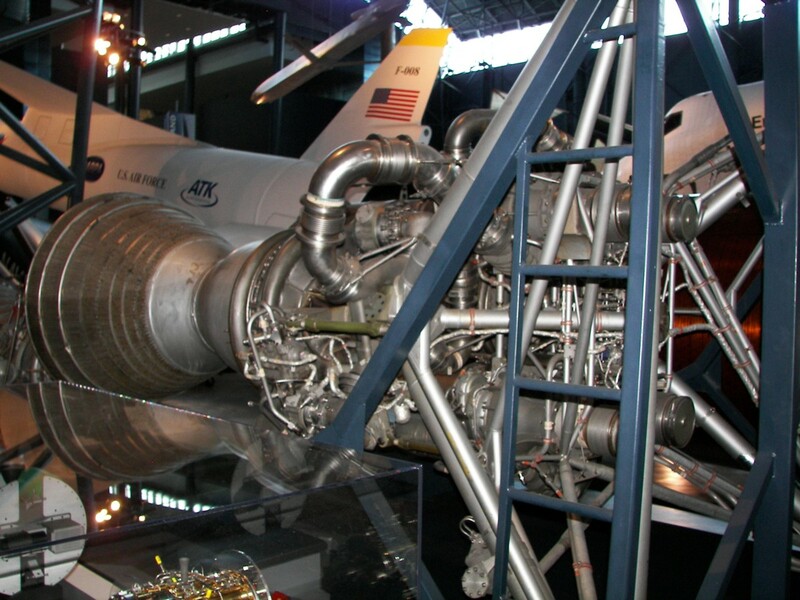 Titan IIIC, first flown on 18 June 1965, represented a significant performance increase over previous versions. 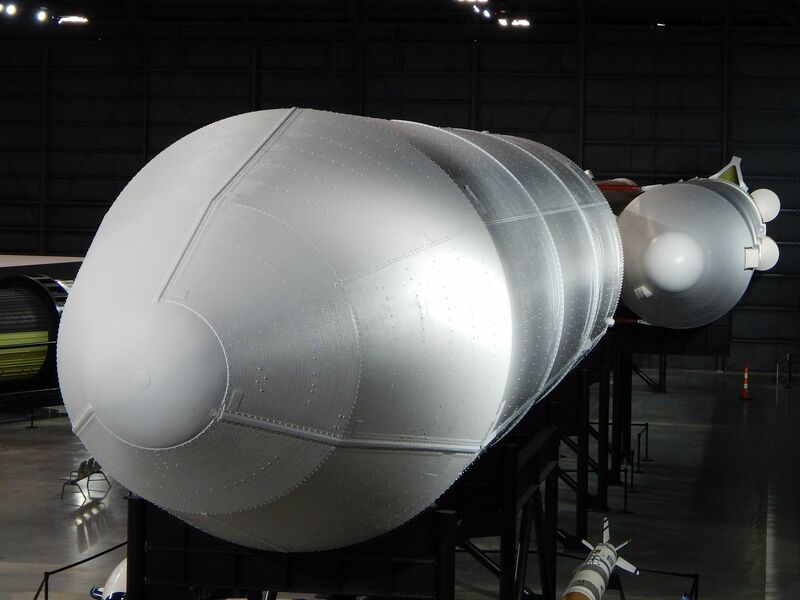 A pair of large, strap-on, solid rocket boosters were added to the core stage. 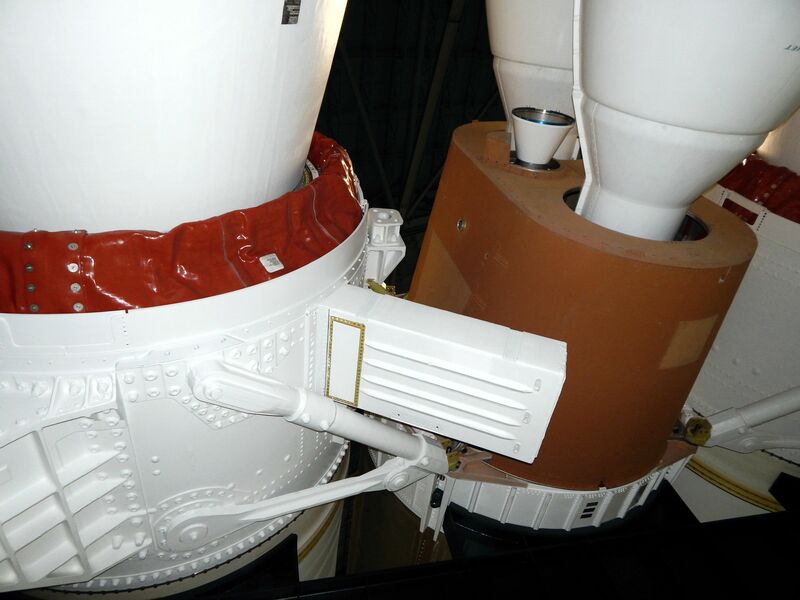 The Titan IIIC included a Transtage restartable upper stage. 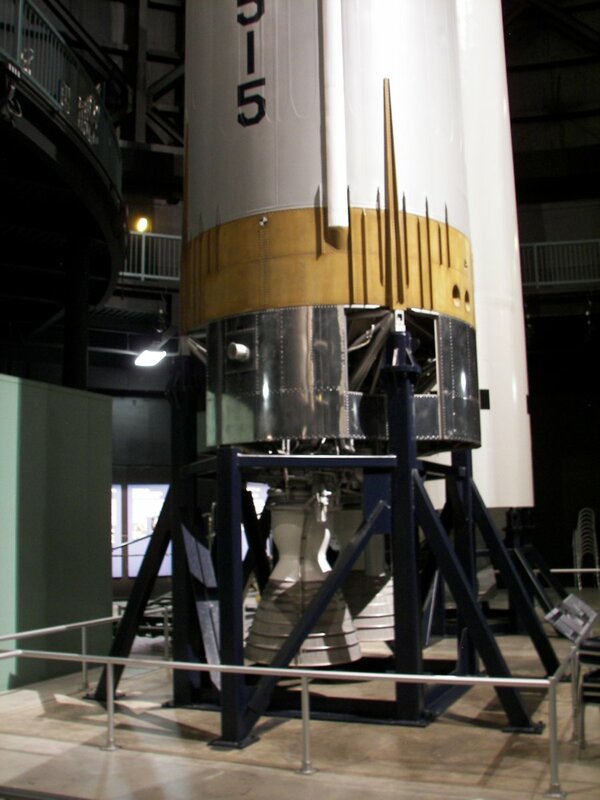 Titan IIIC MOL was launched on 3 November 1966. 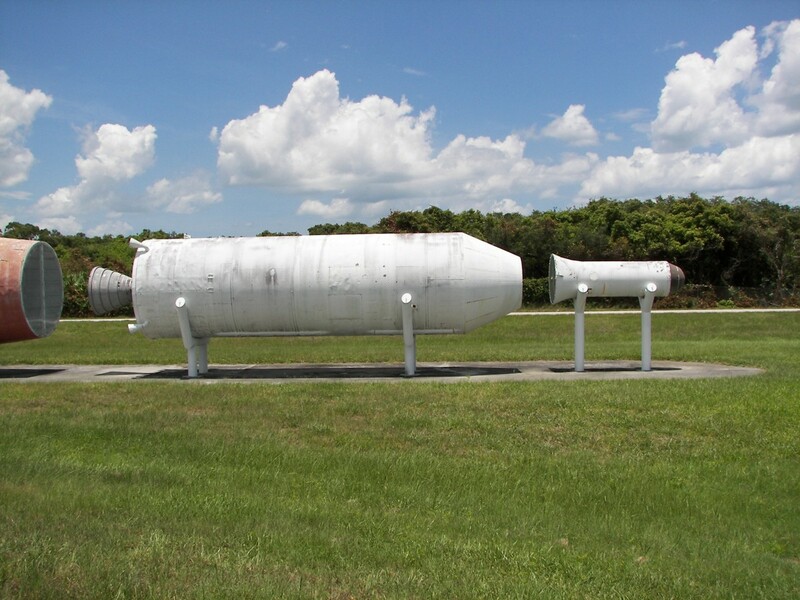 The payload included a Gemini spacecraft making its second trip into space. 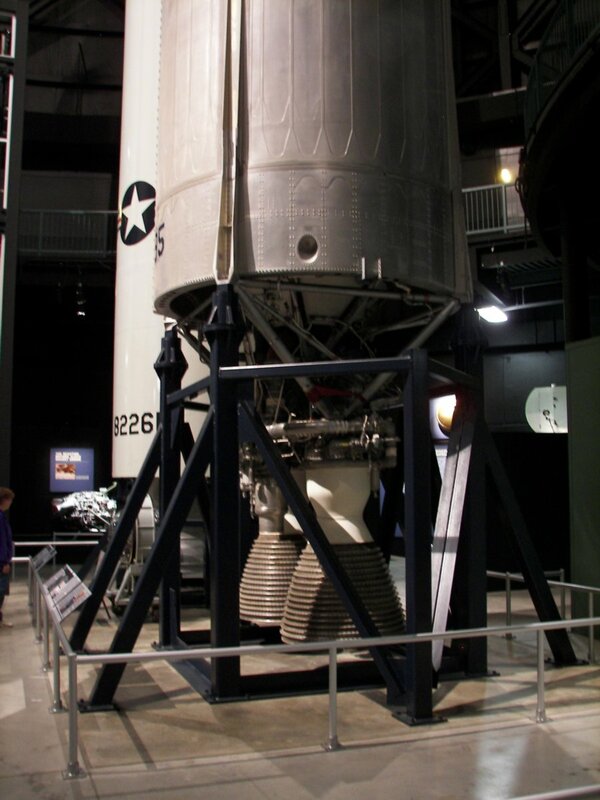 The Gemini 2 spacecraft, first flown on a Titan-II-GLV on 19 January 1965, became the first American space capsule to fly two missions. 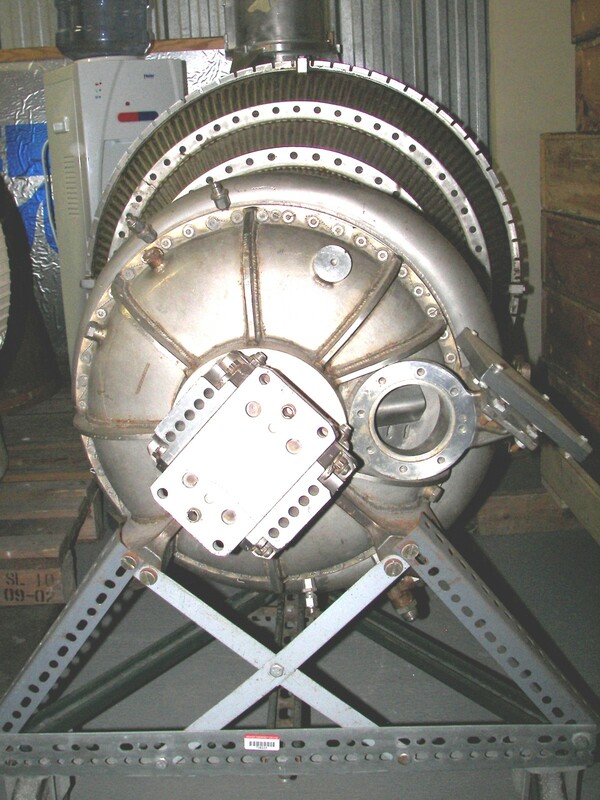 The mission included a transtage and several smaller experiments and satellites. 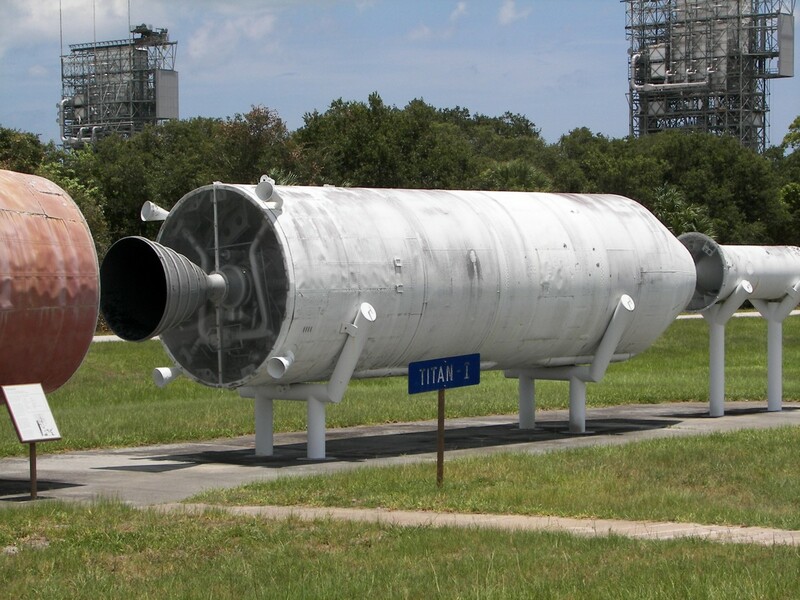 A Titan oxidizer tank, mounted between the transtage and the Gemini spacecraft, represented the aerodynamic characteristics of the proposed Manned Orbiting Laboratory (MOL). 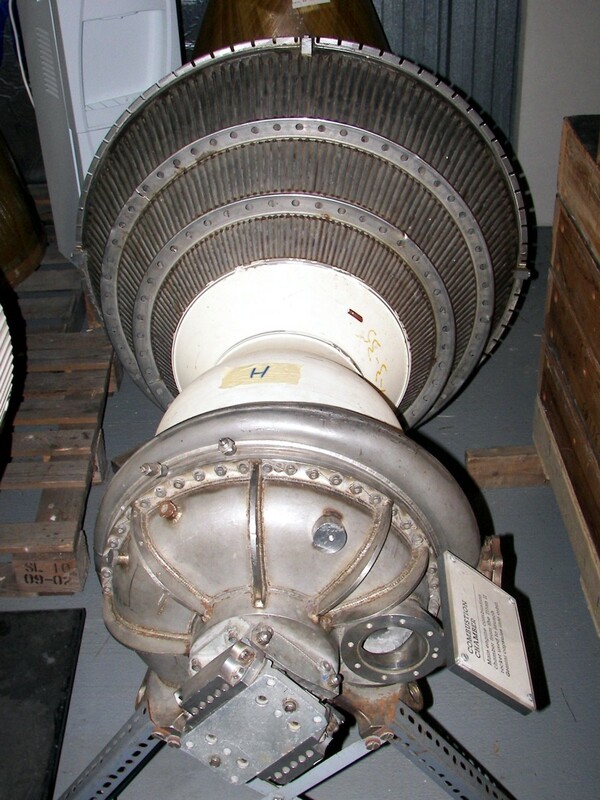 The Titan IIID was similar to the IIIC, but did not have the transtage. Twenty-two successful missions were flown between 1971 and 1982. 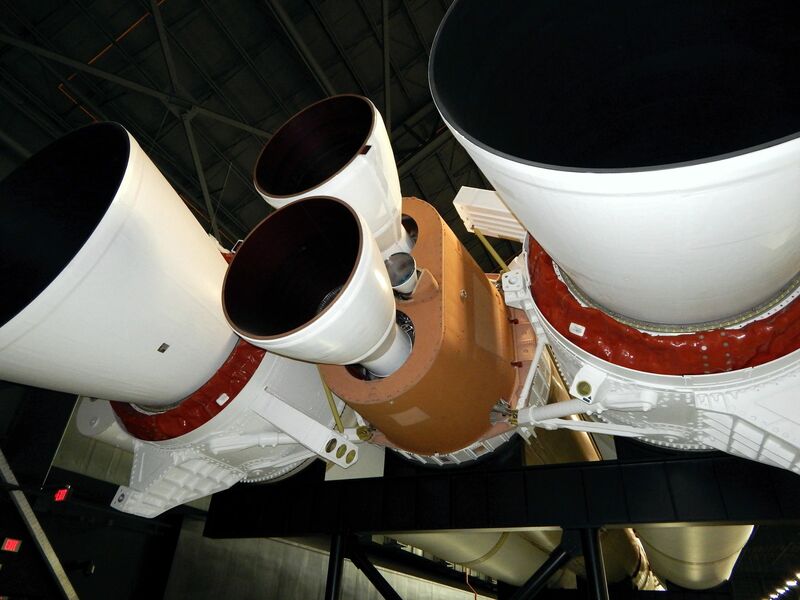 Payloads were KH-9 and KH-11 spy satellites. All missions were launched from SLC-4E at Vandenberg Air Force Base. 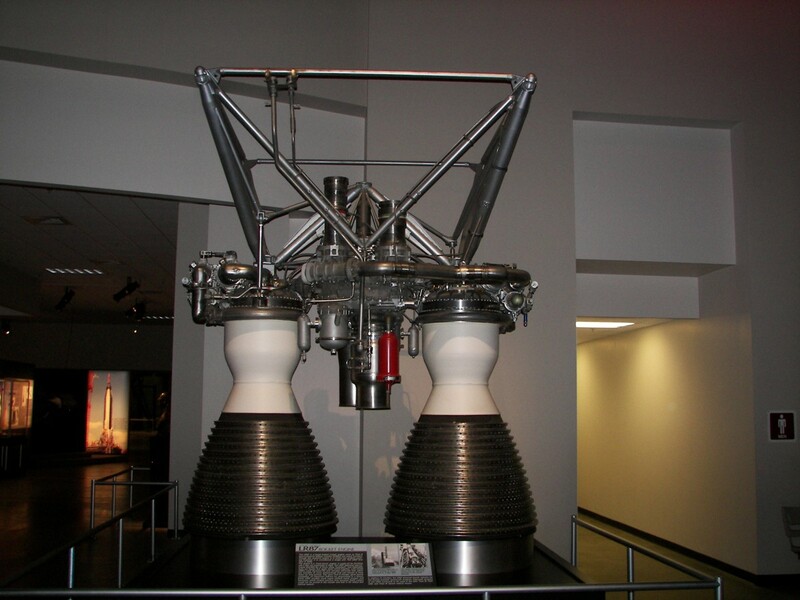 Titan IIIE Centaur, launched seven times between 1974 and 1977, used a high-energy Centaur upper stage to increase performance. 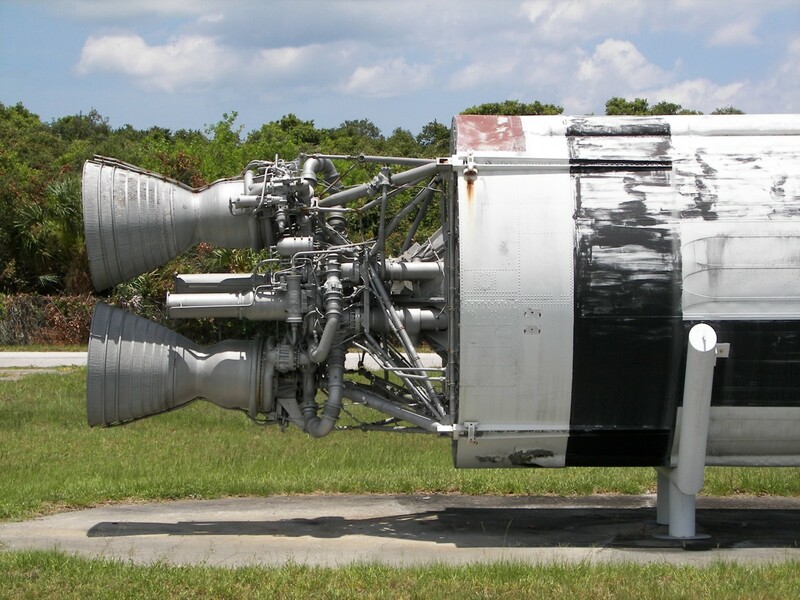 The first launch, on 12 December 1974 failed. All additional launches were successful. 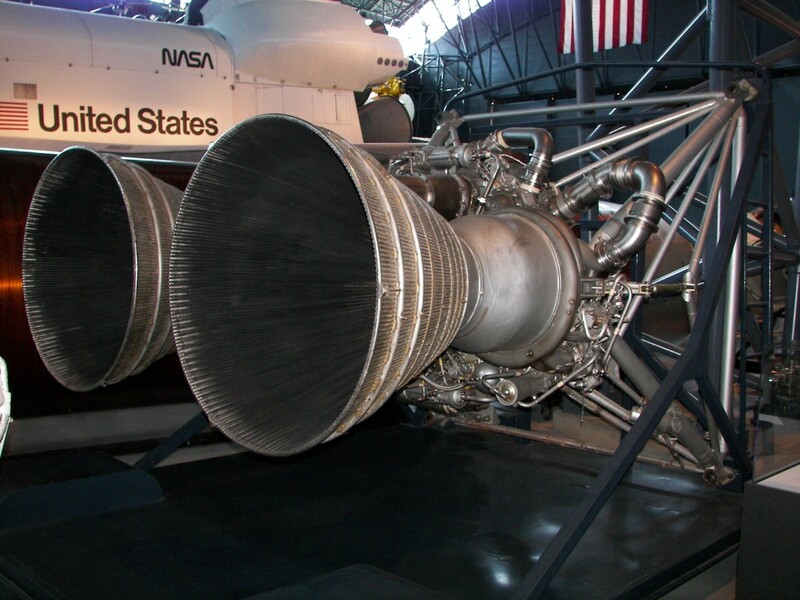 Several high-profile space probes were launched on Titan-III-E rockets. Payloads included two Helios solar probes, both Viking mars probes, and both Voyager probes. The Titan-34D first flew on 30 October 1982. 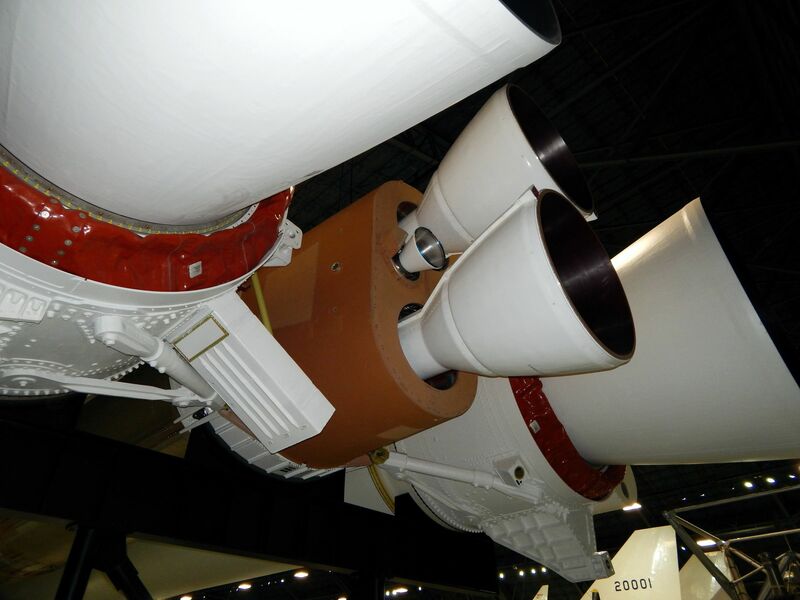 Performance of the Titan-34D could be matched to payload requirements using a variety of upper stages. 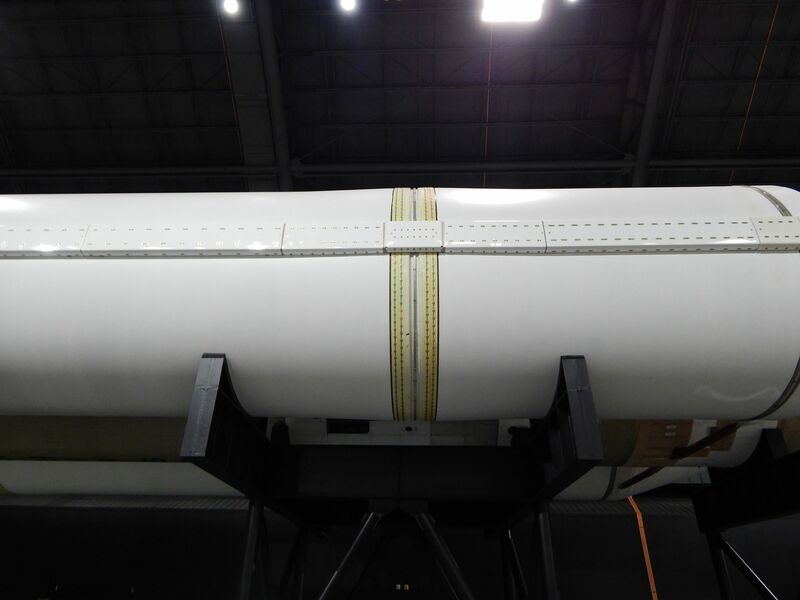 Options included the Transtage, the Inertial Upper Stage, or no upper stage. 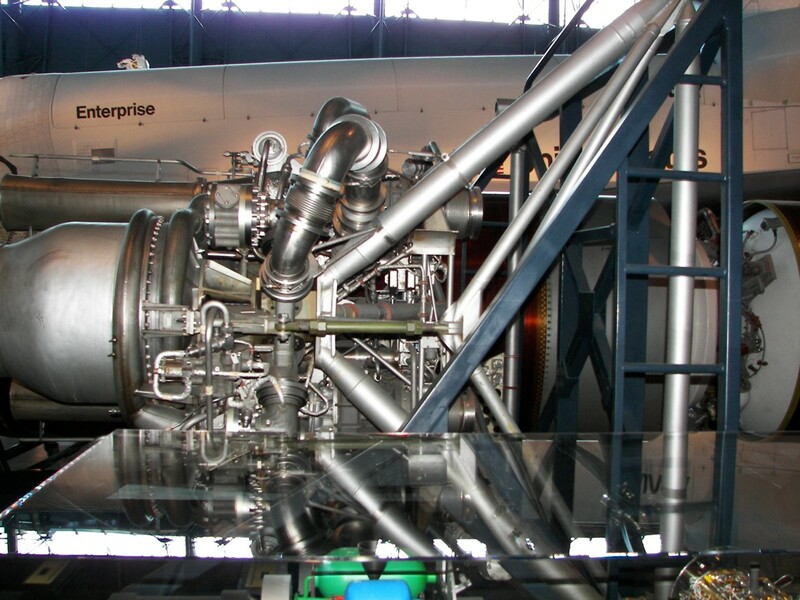 The Commercial Titan III first flew on 1 January 1990. Four missions were launched between 1990 and 1992. 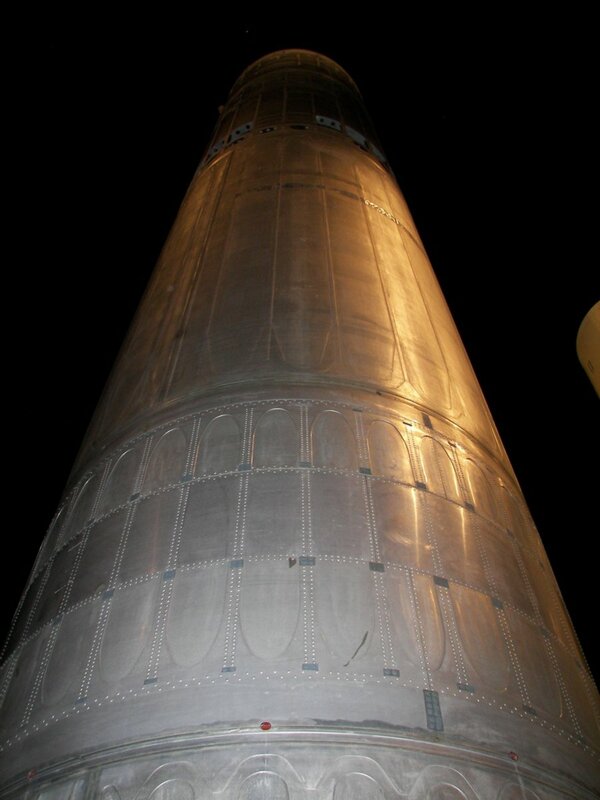 The Titan IV launcher was developed as an alternative launch vehicle for large military payloads. 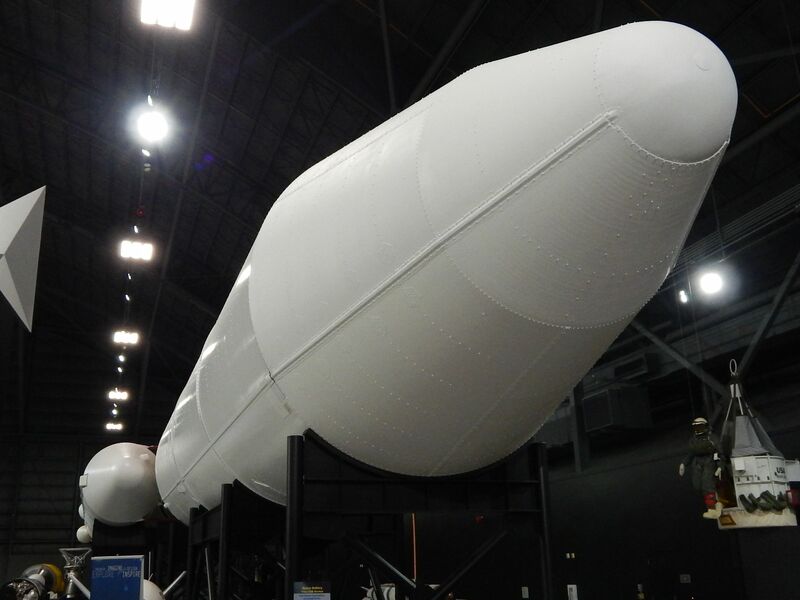 Payloads originally designed for launch on the Space Shuttle could be modified for launch on the Titan IV. 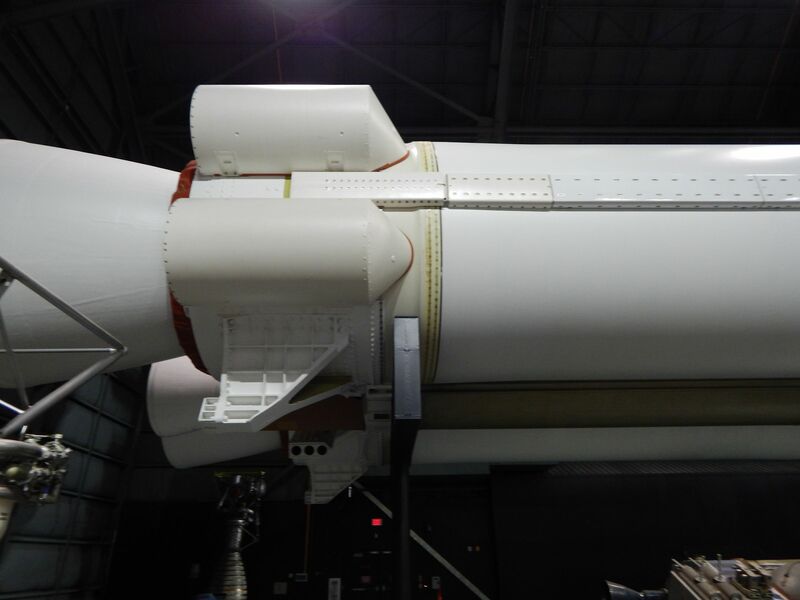 The Centaur T high energy upper stage was often used with Titan IV rockets. 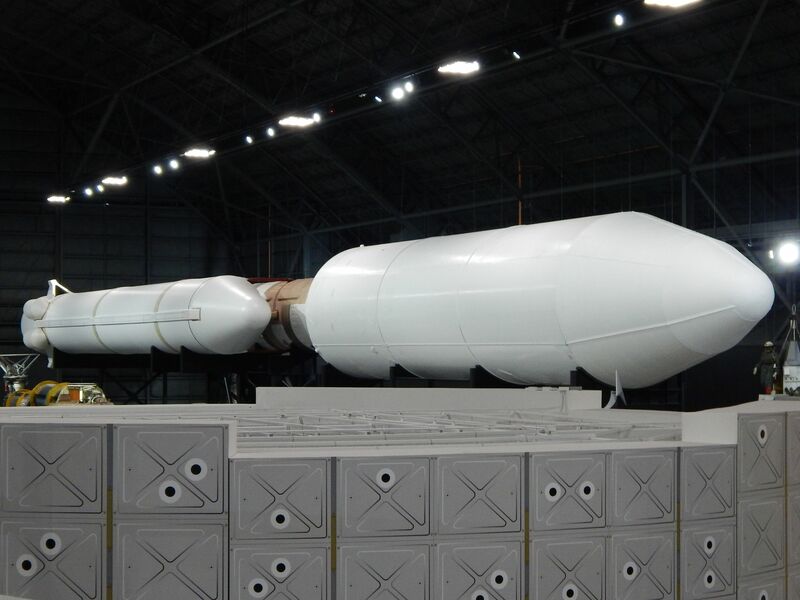 Titan IVA, was first flown on 8 June 1990, was developed as an alternative launch vehicle for large military payloads. 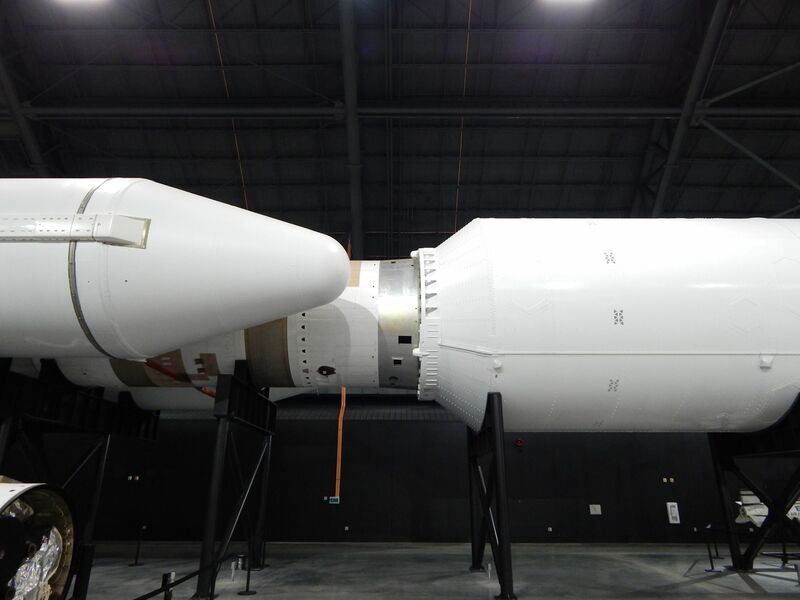 The rocket could be configured with a Centaur upper stage, an Inertial Upper Stage, or no upper stage, depending on payload requirements. 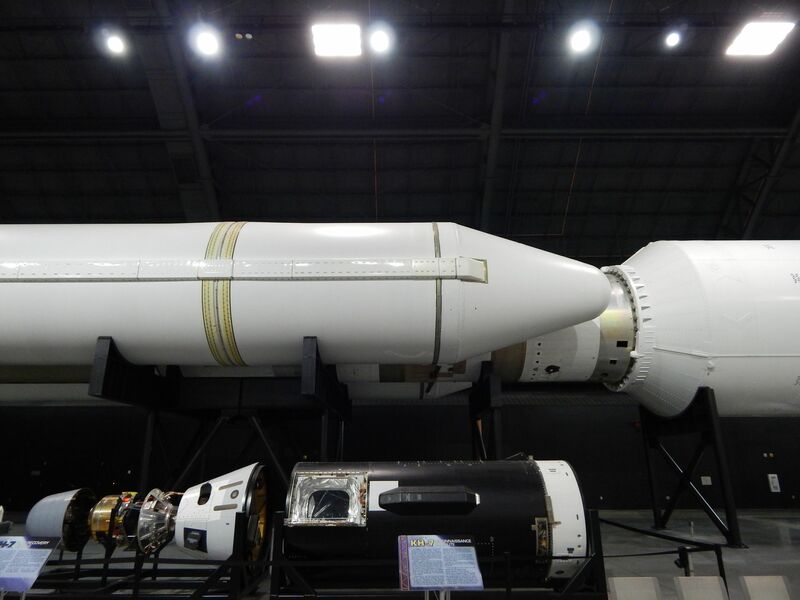 Military payloads flown included several Milstar communication satellites, signal intelligence satellites, DSP (Defense Support Program) early warning satellites, and others. The last Titan IVA rocket launched on 12 August 1998. 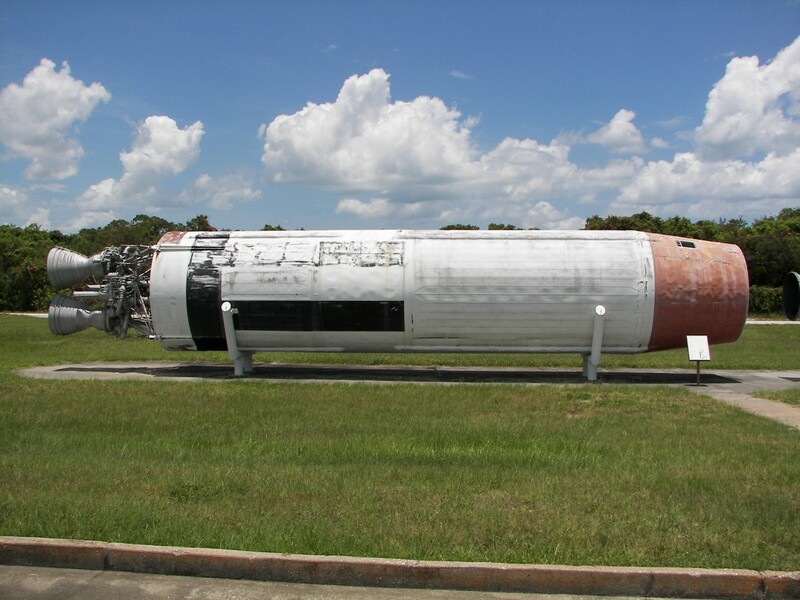 A total of 22 Titan IVA rockets were launched, with two failures. 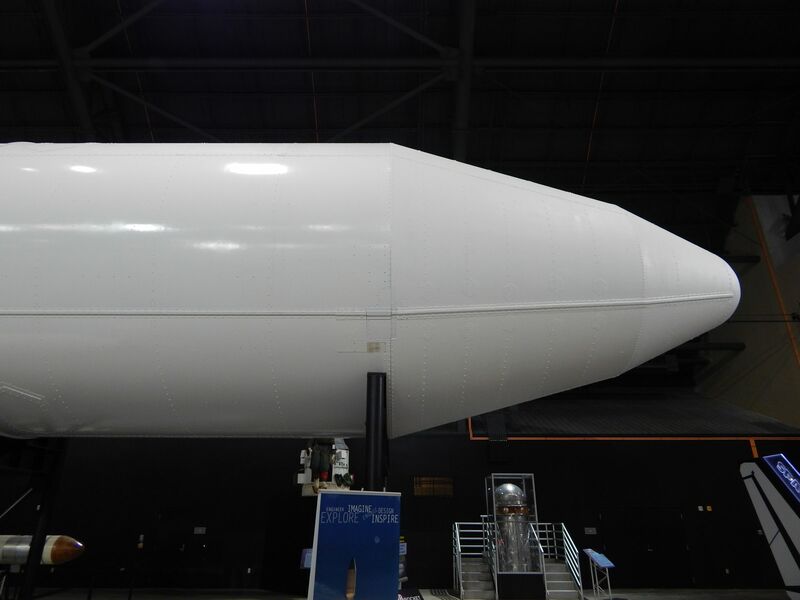 Titan IVB, first flown on 23 February 1997, was an improved version of the Titan-IVA. 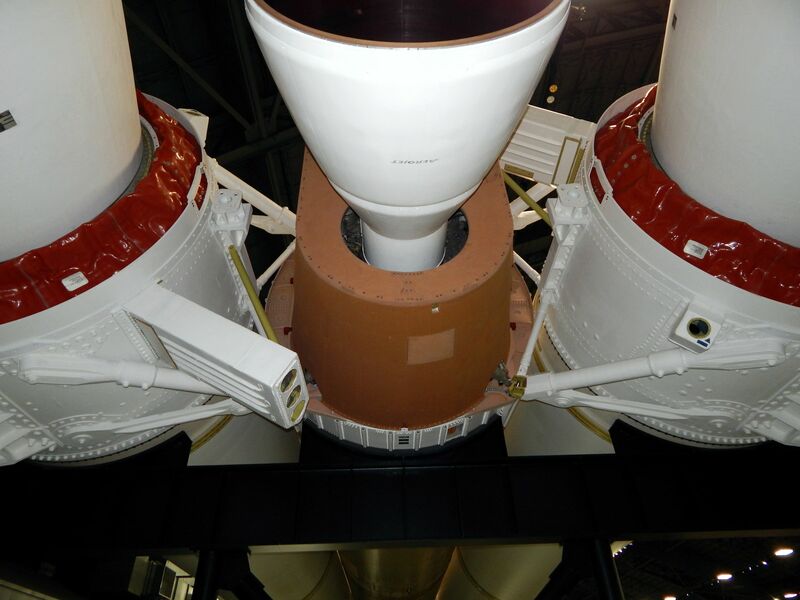 The Titan IVB featured a pair of upgraded solid rocket boosters (SMRU). At launch, only the solid rockets ignite. 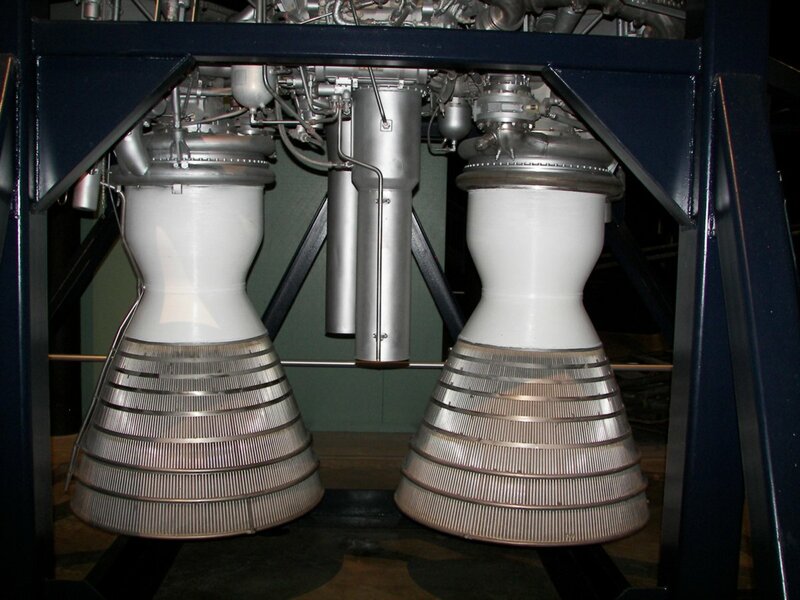 The first stage LR-87-AJ-11 engines ignite shortly after two minutes into the flight, just before the SMRUs burn out. When their fuel is exhausted, the SMRUs separate and, with the aid of several small staging rockets, fall away from the core rocket. 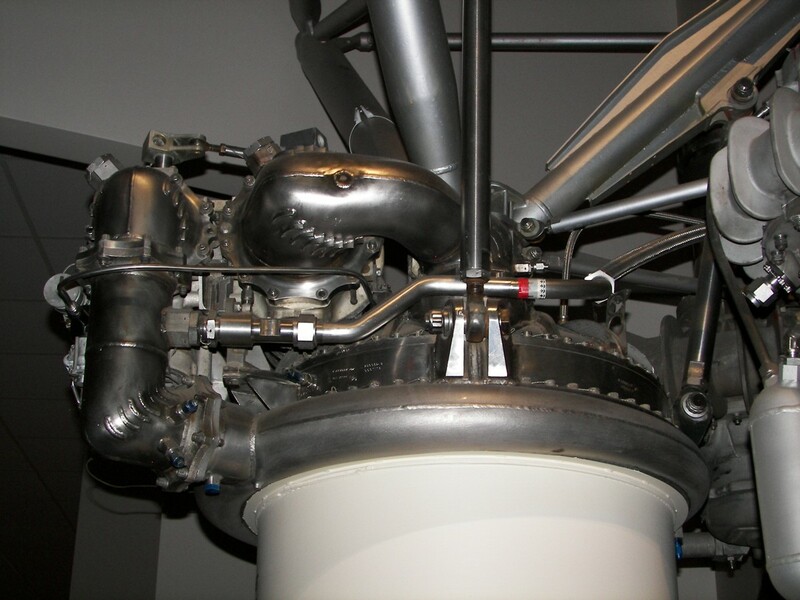 The core stage, as well as the second stage, are fueled with storable hypergolic propellants. Payloads included the Cassini/Huygens Saturn mission, launched on 15 October 1997, and several military payloads. 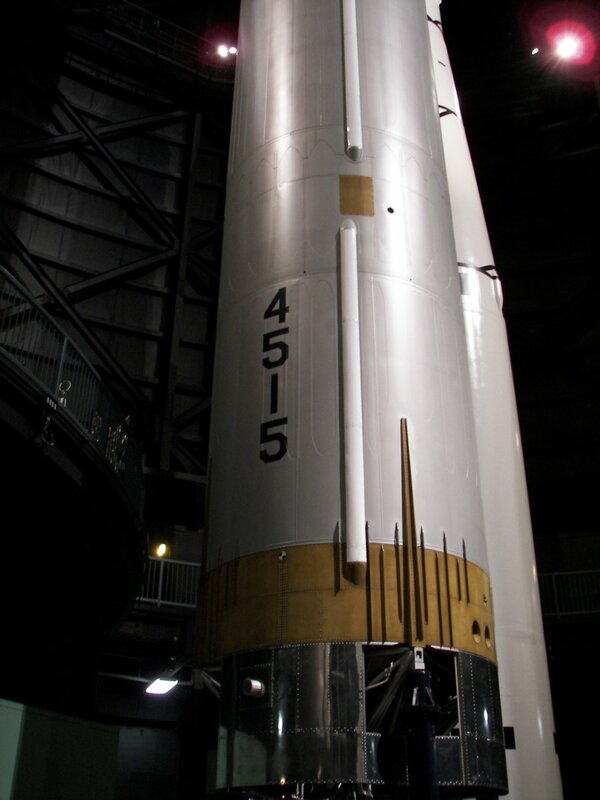 The last Titan IVB rocket launched on 19 October 2005. 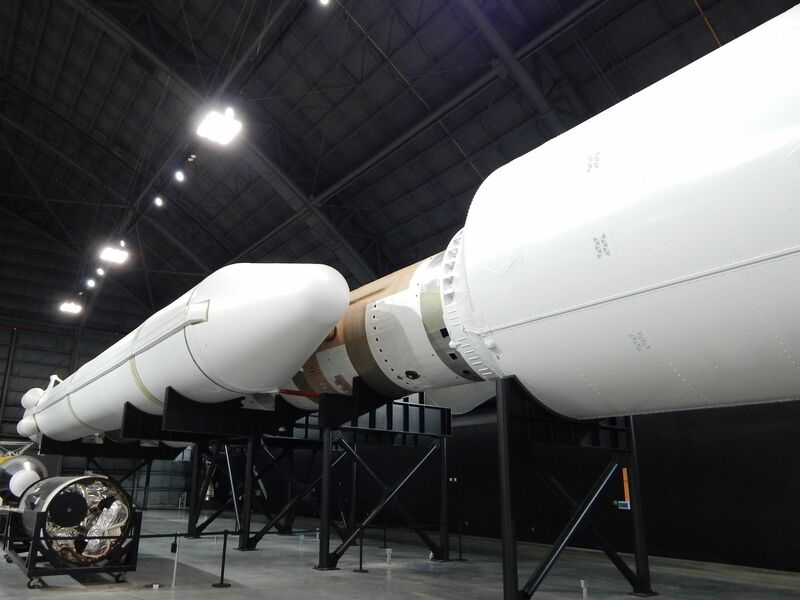 A total of 17 Titan IVB rockets were launched, with two failures. 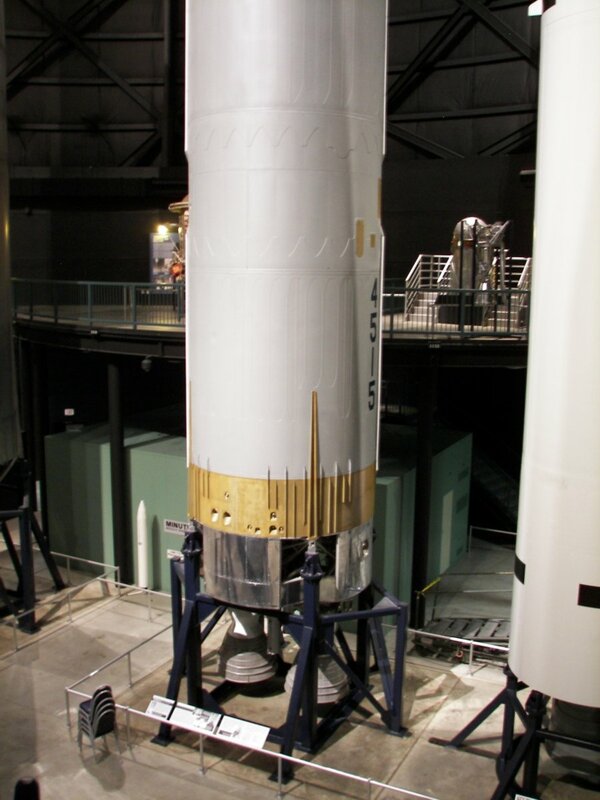 The LR-87 rocket was used on Titan missiles and space launchers. Images by Richard Kruse are licensed under a Creative Commons Attribution-Noncommercial 3.0 United States License.